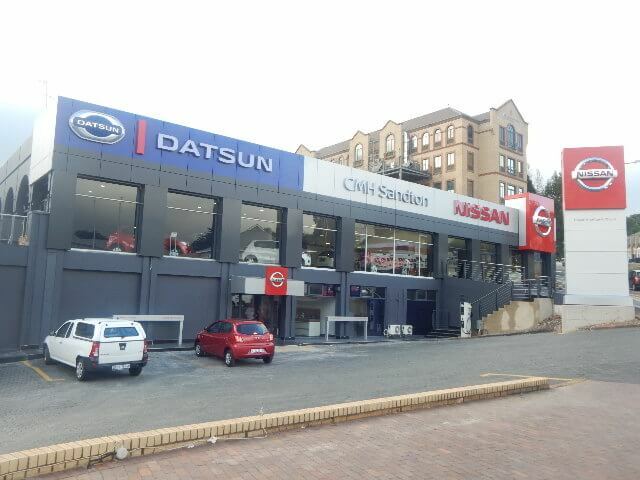 Welcome to CMH Nissan Sandton now operating at 348 Jan Smuts Avenue in Craighall Park. It was quite a big job moving from our old premises. 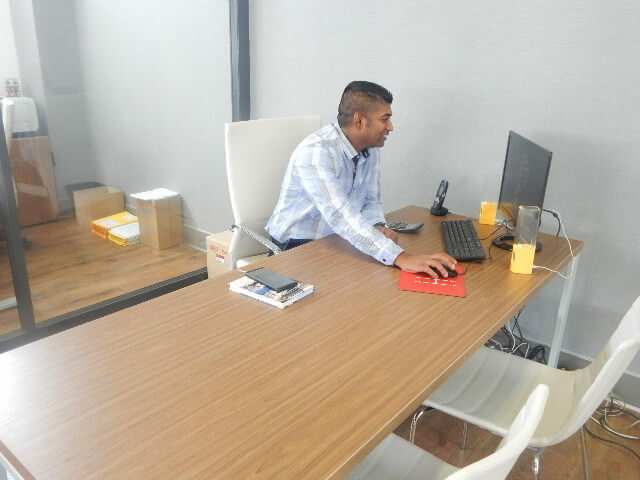 It was all systems go from the beginning of the month and we worked, packed, sorted, stored and delivered to our new building. 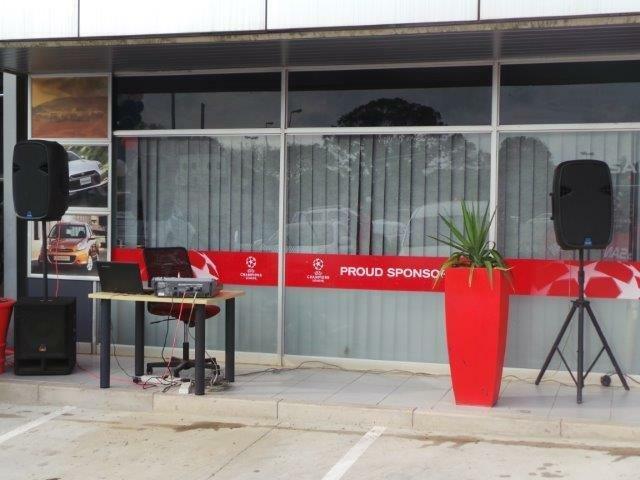 We arrived with the enthusiasm and motivation to make this new building our new home and an amazing dealership. After only just one day of officially moving; we made it and we were up and running within a couple of hours! 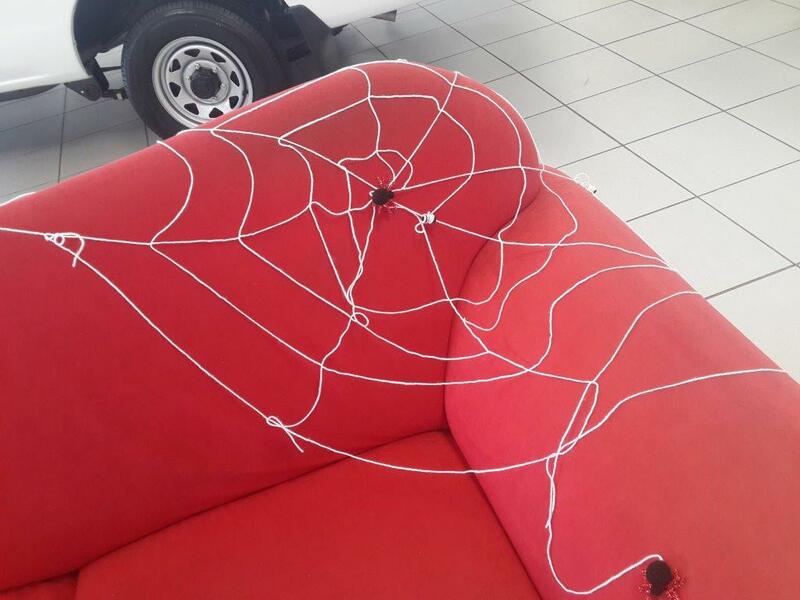 Everyone chipped in where they could to give the dealership synergy and harmony. 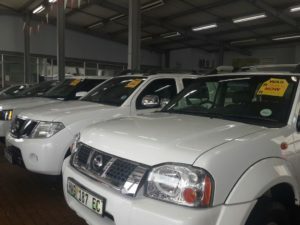 We up and running at our new building and we want you to come by and pay us a visit to view our wide range of Nissan vehicles as well as our great range of used vehicles. We will give you the golden 5-star treatment that you have come to know and love about us. Upon your arrival, you will be met with the receptionist at the door who will greet you with a smile and assist you with any query you may have. Get ready for an amazing mind blowing service from our team of sales executive, our managers, and our dealer principal. 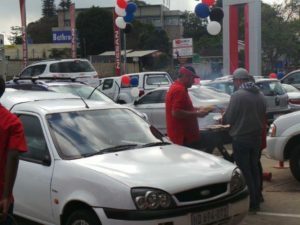 The dealership is located on a great street that boasts some of the best restaurants in Johannesburg. The Hyde Park mall is very close to us for your convenience. 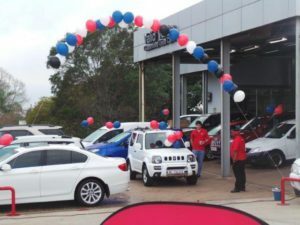 When visiting our dealership you can rest assured that you will be assisted immediately, that your needs will be met to the best standard and that you will be treated as a human being and not a number. 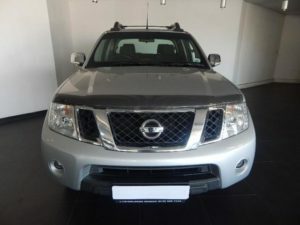 CMH Nissan Sandton is a Nissan dealership that exceeds customer’s expectations and ensures that the customer experience is one that is satisfactory. At CMH Nissan we make it our priority to offer you, our customer, a professional service that will leave you completely satisfied. 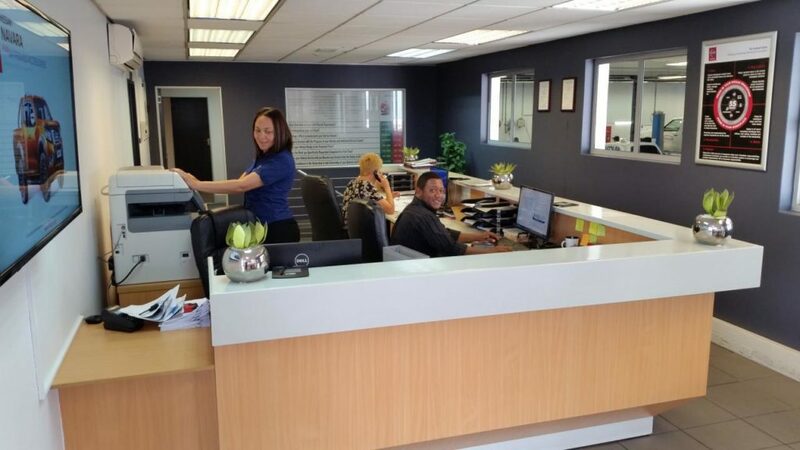 Our highly trained and friendly staff, under the leadership of our dealer principal, Mr. Chris Drummond and our new sales manager, Mr. Martin Lombard, will make sure that any information you need or query with regards to our vehicles and services will be answered. As an official Nissan dealer, we are proud to host a range of Nissan vehicles available exclusively at our dealership in Midrand. 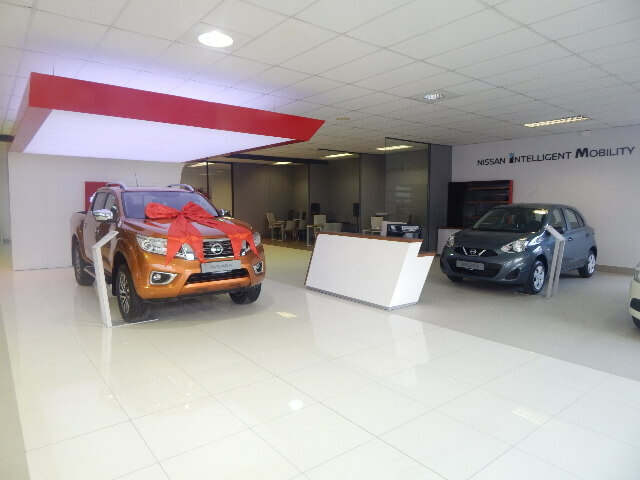 At our state of the art dealership, you will be able to see the impressive Nissan range of cars showcased in an upmarket, pristine environment. • Standard, intensified and personalized Fleet Customer approach. 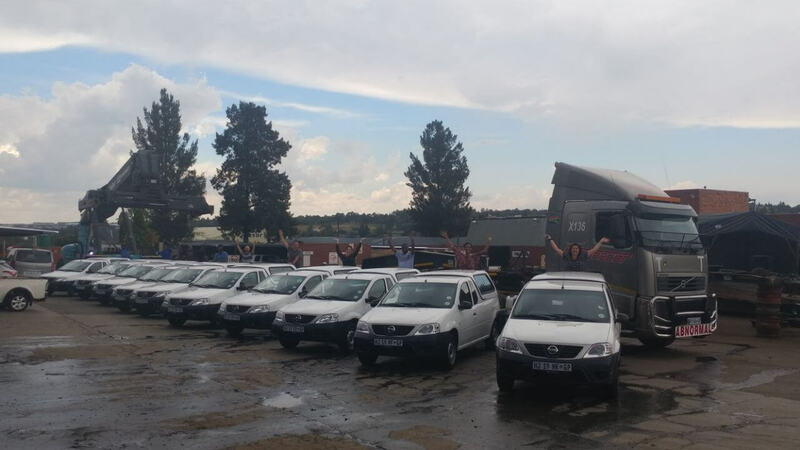 • Develop a comprehensive Small Fleet offering that, in collaboration with our Dealer Network, benefits the Small Fleet owner in ensuring long-term sustainability. • Identify a differentiated and flexible solution for Small Fleet business maintenance. 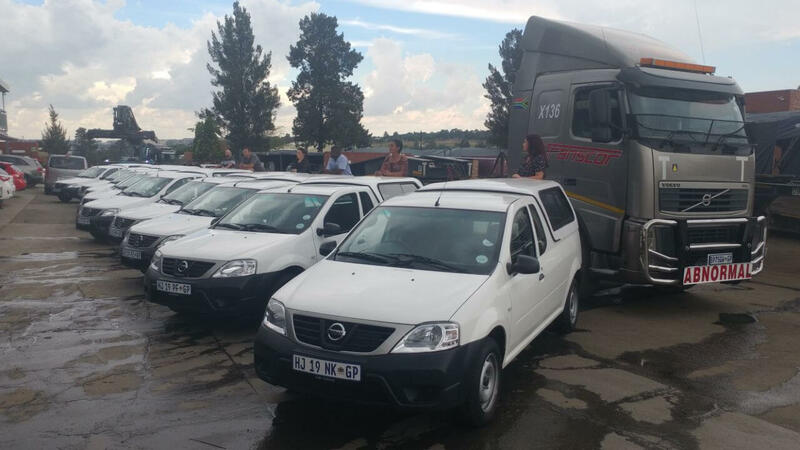 • A focused and professional approach by our Dealer Network when engaging with Small Fleet business. 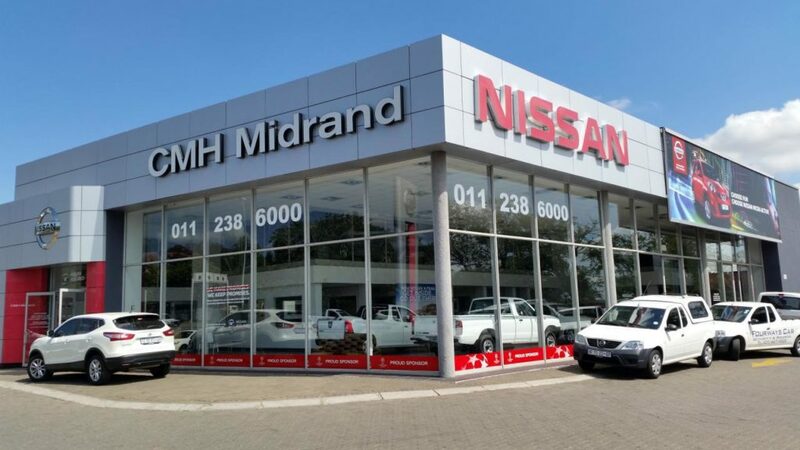 At CMH Nissan Midrand we offer our Fleet Client services to optimize their business through thorough needs analysis and a Total Cost of Ownership Simulator we identify the right Nissan for the job. 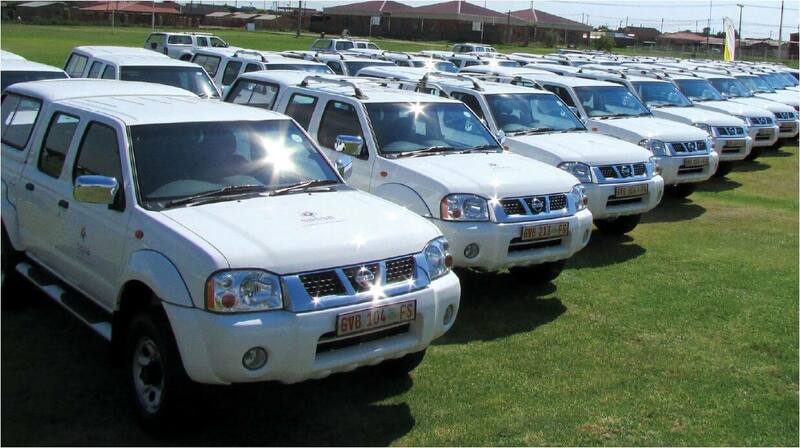 Our dedicated Fleet Department is at you beckon call at all times. 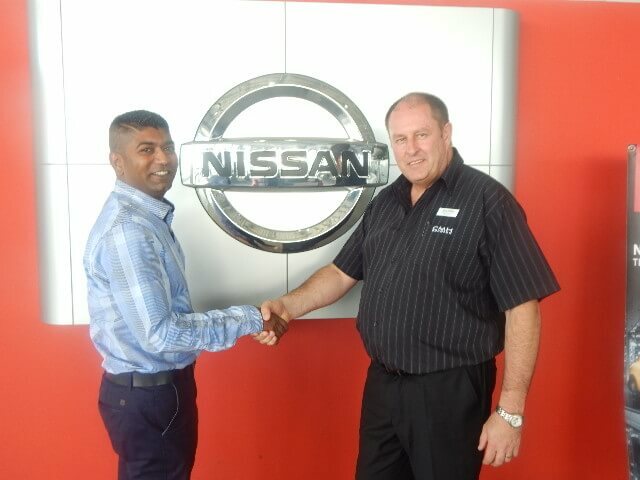 CMH Nissan Midrand was fortunate enough to have a formidable name in the motor industry join our team. Martin Lombard has recently joined our team, and already a lot of differences are visible. 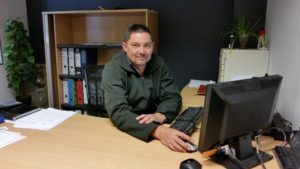 Martin has spent the last 11 years in the motor industry, mostly with premium brands, and has brought his expertise and experience to our dealership. 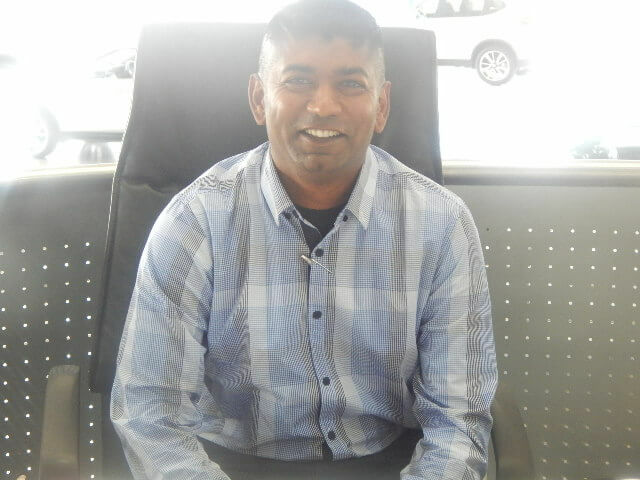 Martin has lots of plans for the new car division, but firstly and foremost his goal is to establish a higher level of customer satisfaction, interaction and relationship building, focusing on making you, the client, part of a family where your needs are catered for on every level. 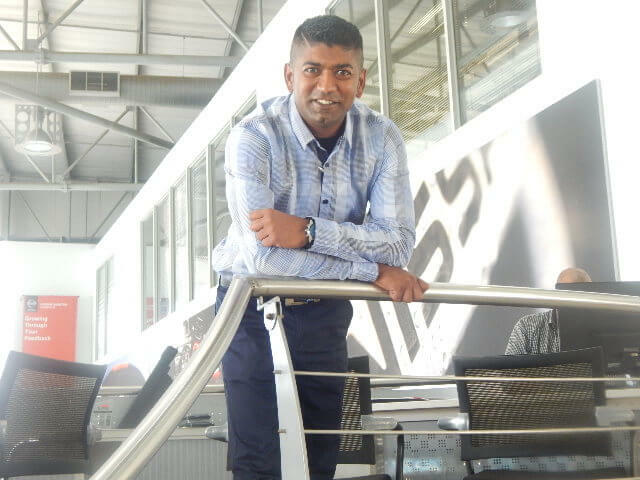 His other goals are to establish justified stock holding and marketing and promoting the vehicle range we currently have available. This will include arranging launch events for new models being launched and getting the public involved in these events. 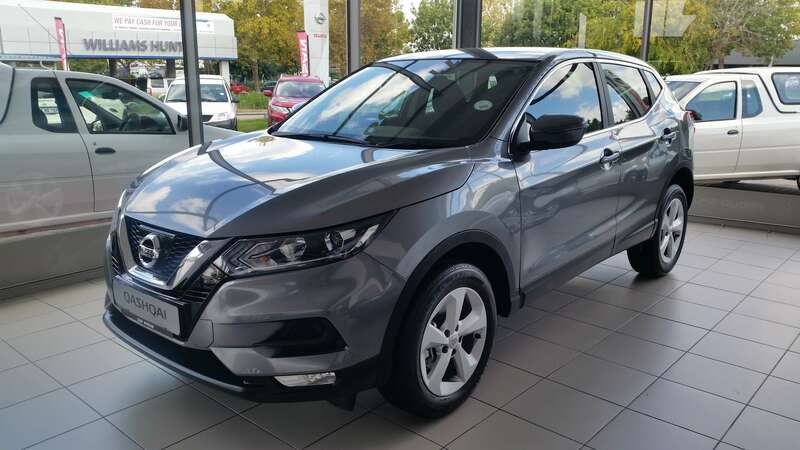 Talking about new models… Have you been to our dealership yet to let your senses feast on the new X-Trail and new Qashqai that were recently launched? Not? Well, what are you waiting for? Pop into our dealership today to come and experience our next-level SUV’s. Smooth contours with sporty lines and an aggressive stance sets them apart from other vehicles in their class, and these vehicles feature all the creature comforts and space you will need to make your ride a memorable one. So, don’t delay, and while you are here let our professional and friendly sales staff introduce you to some of the awesome specials we are running this month. Also, don’t forget to like us on Facebook to keep up to date with our promotions. Spoil yourself one last time in the month of love. Now is the perfect time to spoil YOU one last time before the end of the most romantic month of the year. Valentine’s Day has come and gone but that does not mean you can’t pursue any love prospects, it is after all still very much the most passionate time of the year and what better way to close it off with a huge gesture of self-appreciation or perhaps your gift to your loved one earlier in the month wasn’t so great and you’d like to top up your game. Well, we are here to make sure you get yourself the best expression of love. 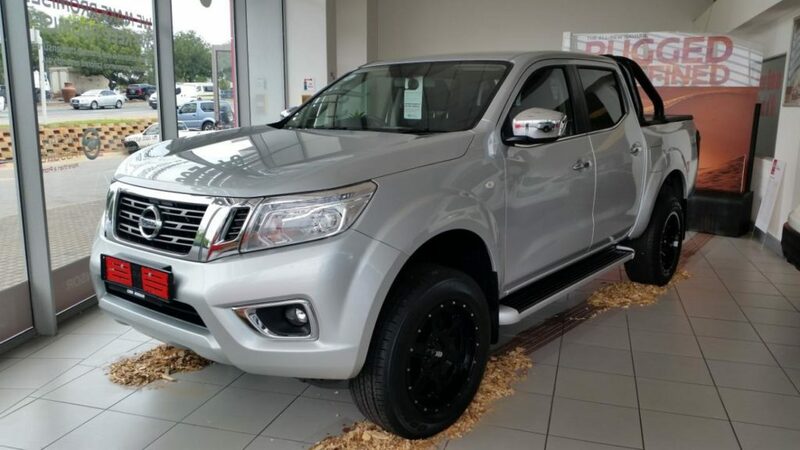 The new Nissan Navara 2.3D LE 4×4 Auto Double Cab where you can enjoy a luxurious cabin whilst driving to the great out backs where you can have a picnic set up on the back of the Navara. There is ample space for a picnic basket, a bouquet of flowers, a teddy bear, some cushions and a picnic blanket. 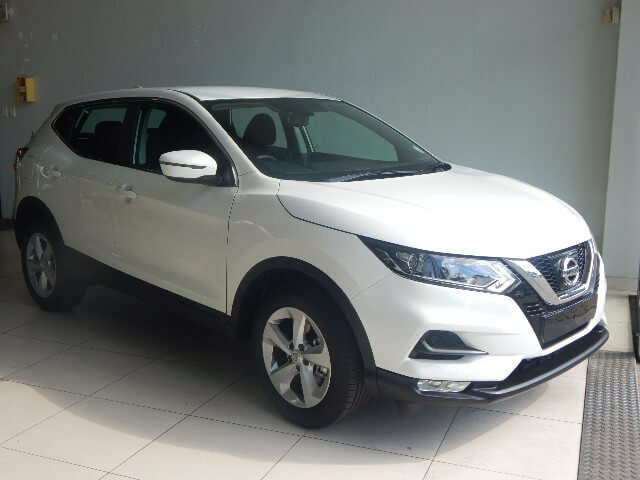 If you are more of an SUV person then why not splash out on the new Nissan Qashqai? 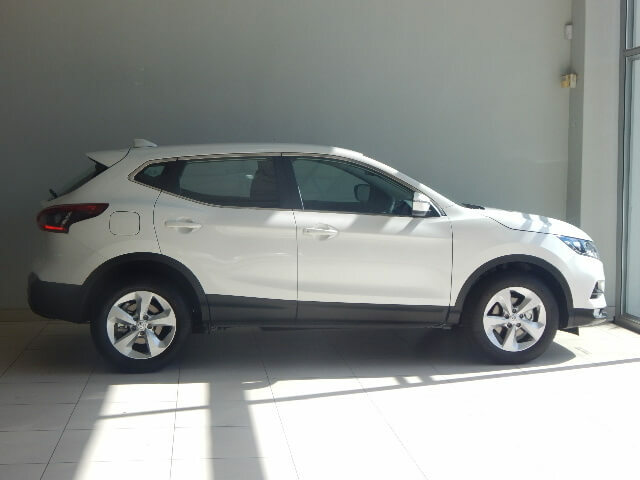 The Qashqai is spacious, boisterous and has a special touch of sophistication. You can enjoy a romantic road trip to a getaway weekend with your partner or friends. You will have enough room to fit in all your luggage and goodies for the road trip. Look stylish and blissful with the Qasqai; specially made for your delight. 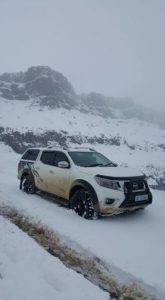 So whether you prefer a much more rugged vehicle such as the Navara or you like the shape and look of an SUV such as the Nissan Qashqai; you definitely have the perfect excuse to spoil yourself or your loved one just one more time and close the month of love with a bang from a Nissan that will give you all the romantic perks your heart desires. 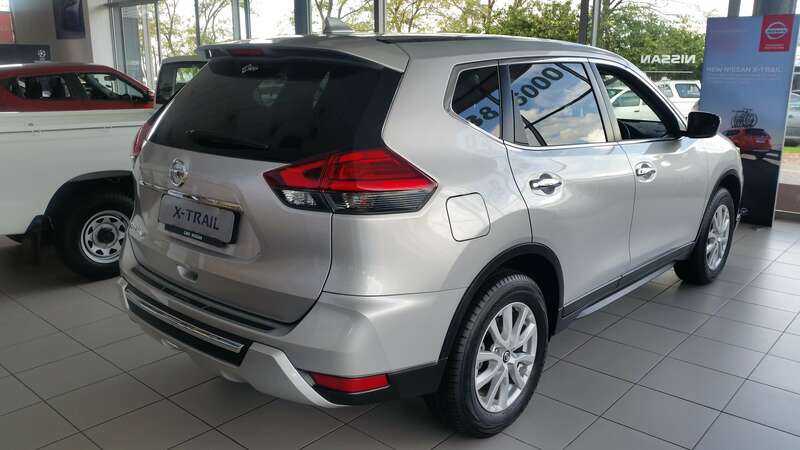 The New Nissan Qashqai has out done itself when it comes to on the road delivery and overall aesthetic appeal. 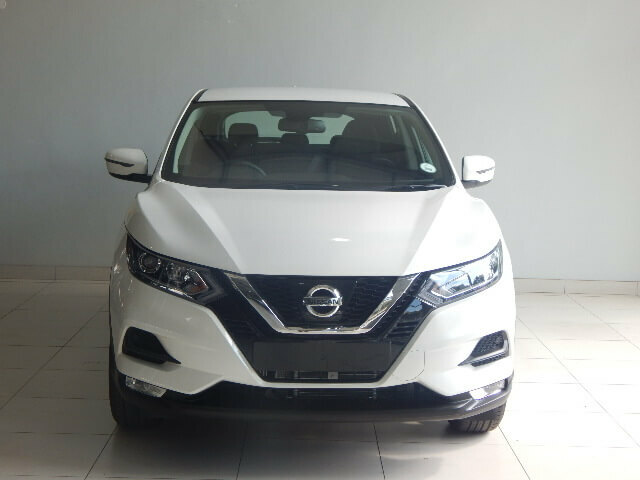 The spanking brand new Nissan design and features have been merged together to deliver a thrilling driving experience. 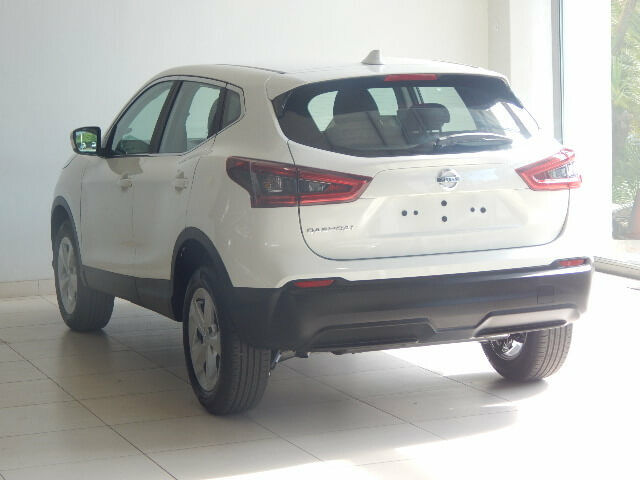 The vehicle has been tweaked with new innovative technology that has the crossover that has heavy weight motor vehicle engineers awestruck at its excellence. 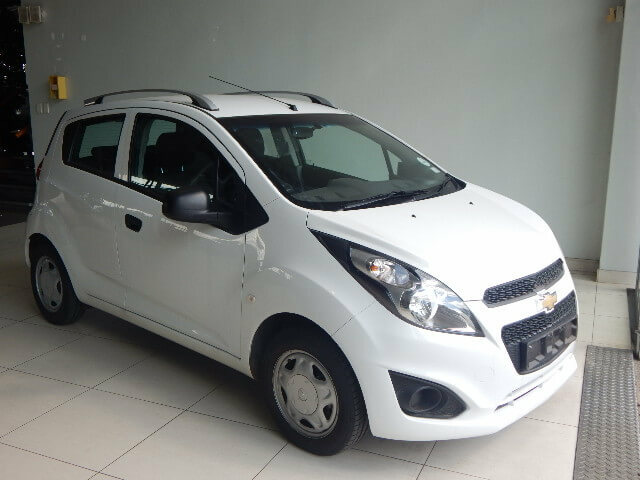 If you are looking for the perfect crossover for all your daily city adventures then this is the one for you. 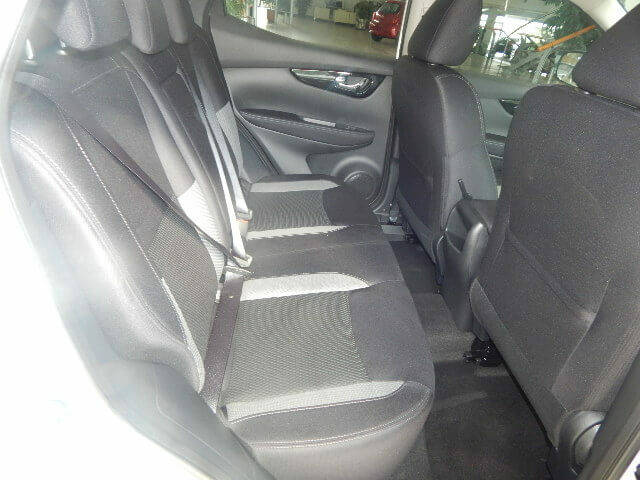 It is very spacious and will give you that wide feel when inside. 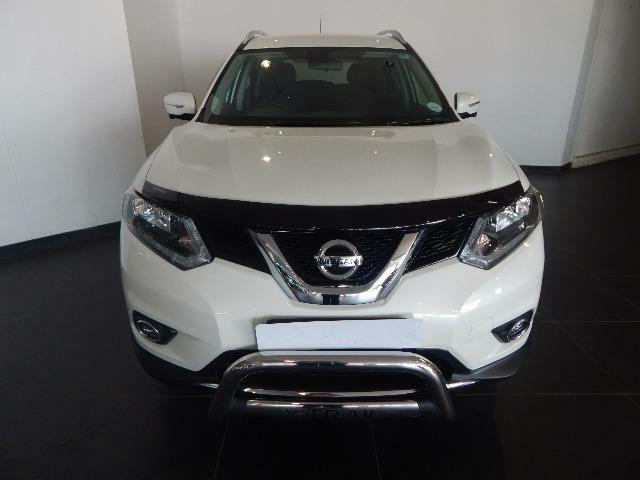 The new Nissan Qashqai is perfect for a family. The morning school runs won’t consist of you having to squeeze in the kids at the back when it’s your week to car pool. Everyone will fit in just fine and we hope you’ll get some smiles and giggles from the back on the way to school. Once the kids have been dropped off; you can easily fit all your goods in the back whether you are shopping for your monthly groceries or for the materials you need for your small business. You can do it all with the help of the new Nissan Qashqai. 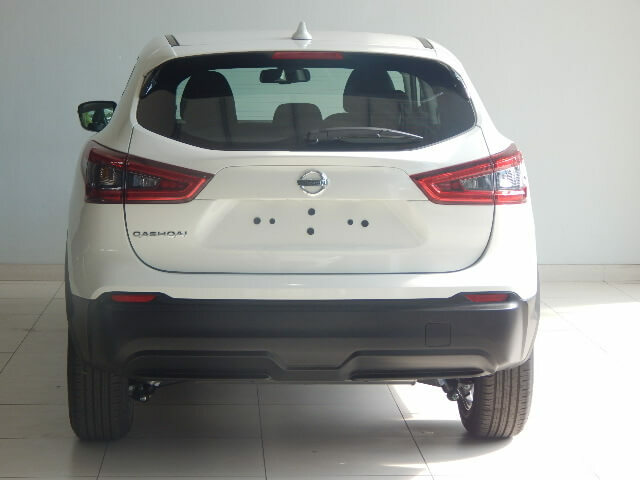 With its 1.2 engine; the Nissan Qashqai CVT will have you saving on fuel whenever you go for a fill up. You can go there, here and everywhere without having to worry about the fuel consumption; that means you’ll be able to stay on budget and make sure that your finances are in check. Not only is it fuel efficient but it is also cost effective. 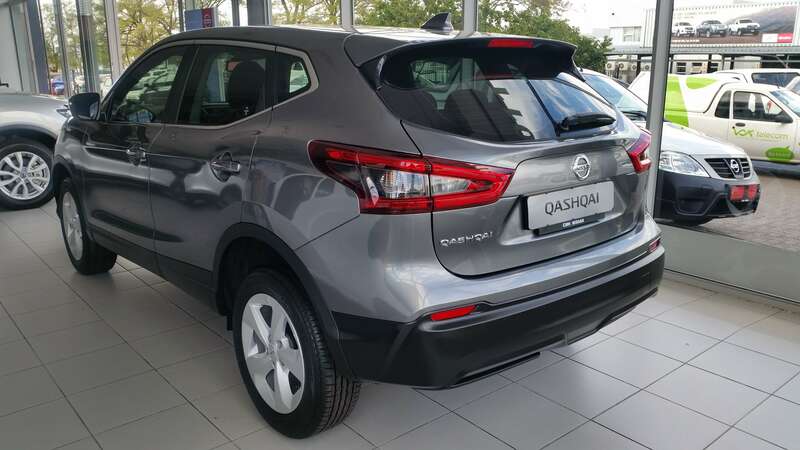 If you are looking for a car that is spacious, stylish and not too bad on your wallet then look no further than the new Nissan Qashqai and never look back. 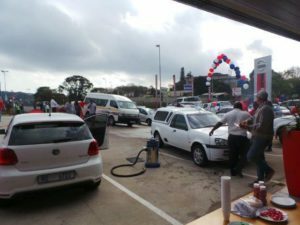 With the economy the way it in South Africa it is no wonder that the general public is looking for a good bargain wherever they can. Sales such as Black Friday and the Red Hanger Sale are well known massive sales that promise consumers major saves. While you may be saving on food and clothing; it is also of great importance to ensure that you save in other big areas as well such as your car spend. 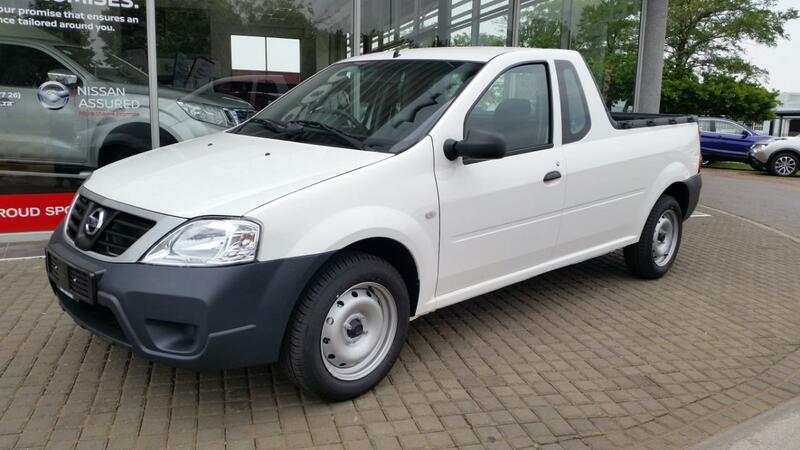 Yes, cars may not come cheap but you can definitely find a vehicle that will be economical in the crazy haywire South African economy. 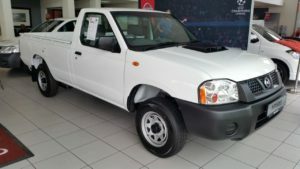 The engine capacity is perfect for anyone looking to save on fuel and the price of the vehicle is also budget-friendly. 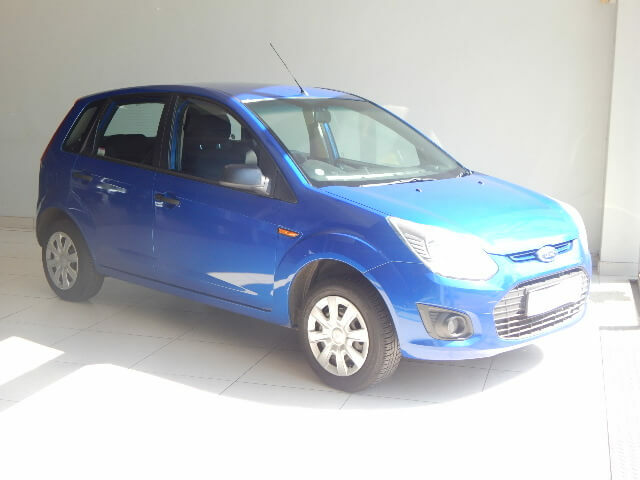 This is a cute little hatchback that is perfect as a daily run around or for anyone looking to purchase their first vehicle. 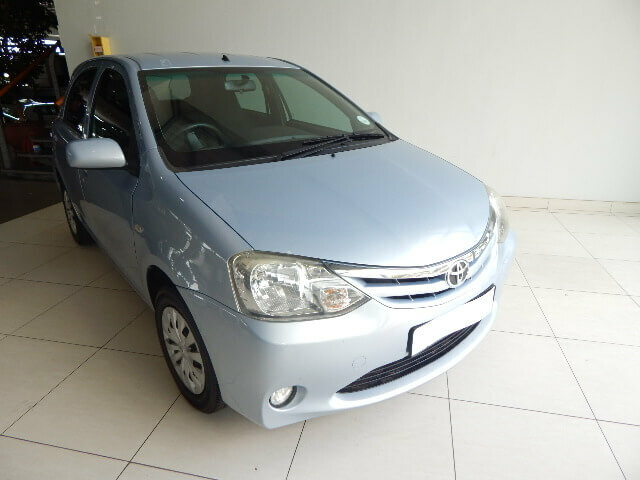 The engine capacity is great for the budget-minded and it will take you from A to B with no hassle at all. This is perfect for a student or as an entry level vehicle. You will be saving on fuel on a weekly basis. This one is slightly more spacious than the two above. 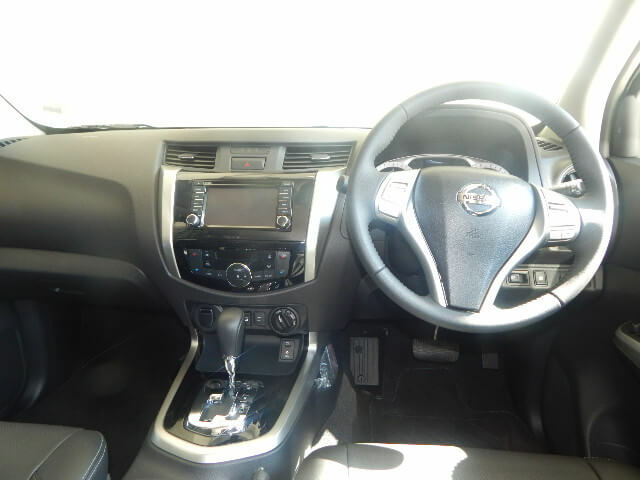 The engine capacity is not bad at all and will have you travelling in style while saving big on your monthly instalments and the cost of petrol. 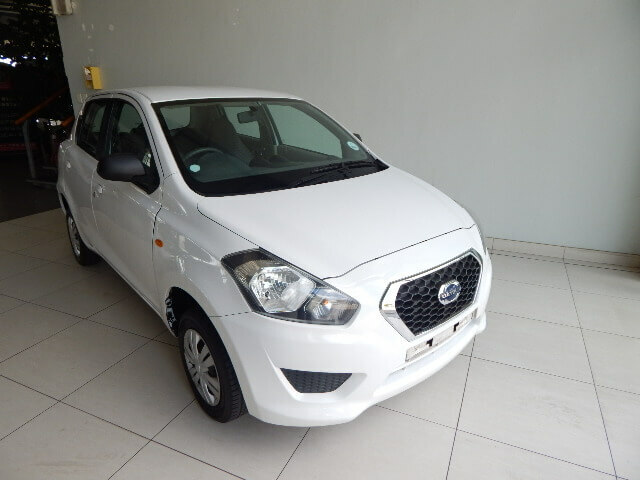 This is another great little hatchback that will have you smiling at its fuel efficiency and total retail price. It is perfect for anyone looking for a small run around to get all your errands done. 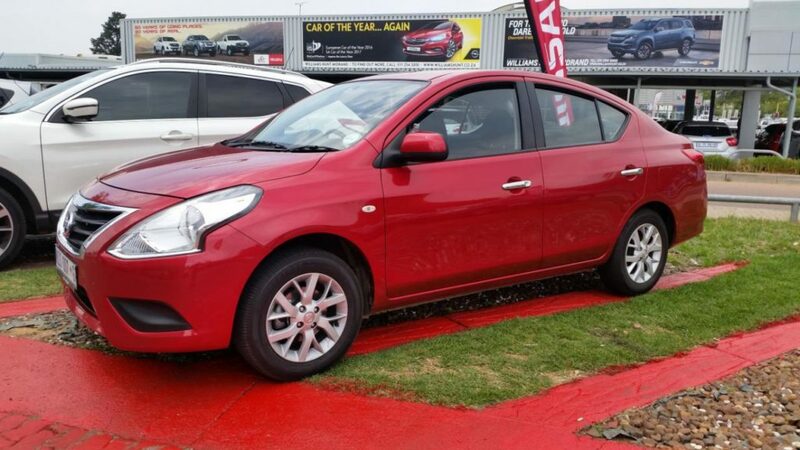 We have economy cars that will best suit your budget in the New Year. The 2018 new year, as with every other new year, has left all of us pondering on our resolutions from last year… Have we kept to our resolutions? Have we achieved the goals we set for ourselves? 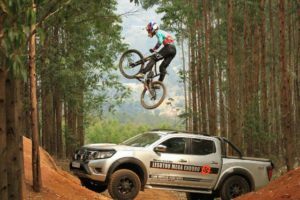 Well, we here at CMH Nissan Midrand also feel that we could have achieved a bit more in 2017, that is why we are determined to overshoot our own expectations in 2018 and truly make this a year to remember. We have made a few changes to our reception area, opening it up a bit more and creating a feeling of being invited onto the new vehicle floor as soon as you walk in the front door. We have all the latest models on display and available for you to peruse and test-drive to your heart’s content. 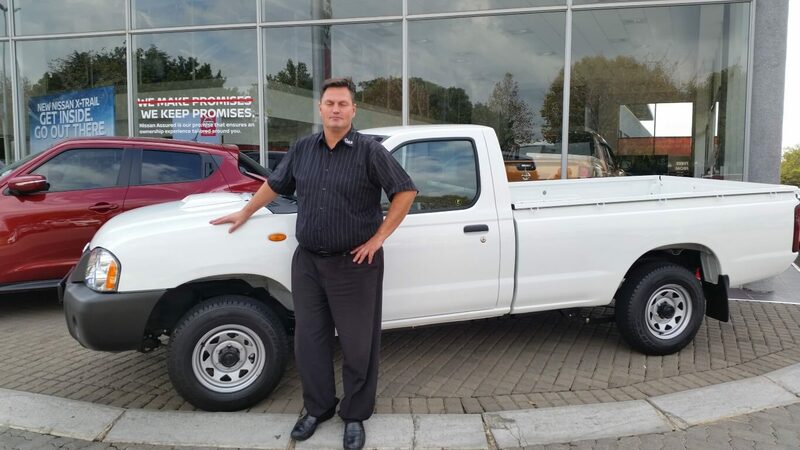 Our sales team are ready to welcome you with open arms and assure that you find exactly what your heart desires, while the sales manager, Chris Jooste, will structure and fine-tune the best possible deal for you. We have mind-blowing specials that change on a monthly basis so there are always bargains available. 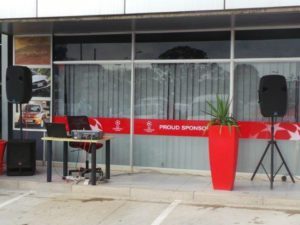 Our workshop and service department under the expert leadership of Dean Nell are also running at full steam and offer you all the services you need in one stop, from warranty and service needs right through to wheel alignment, balancing and even minor paint touch-ups. The parts department under Ryan Petersen will make sure that all the parts needed are readily available and that everything runs smoothly. 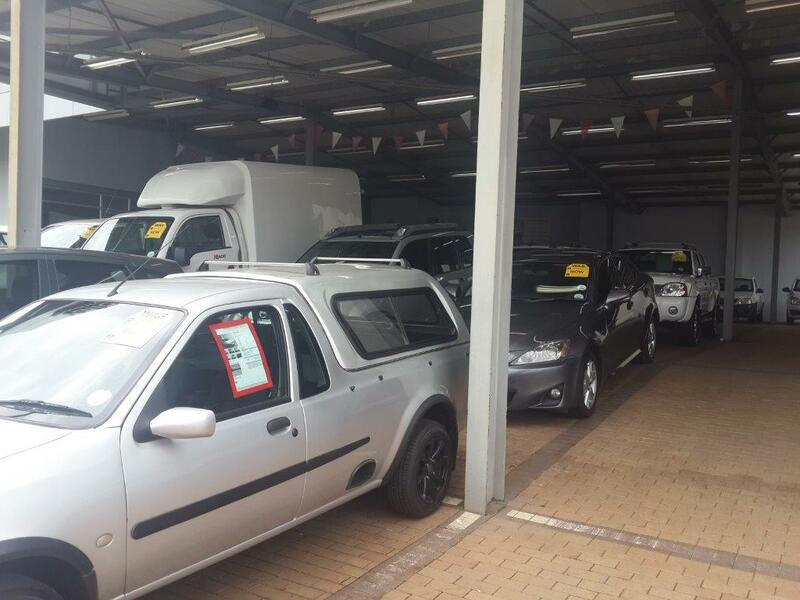 Our used car department, managed by Ernest Smith, offers great deals on pre-loved vehicles, and offer “Nissan Intelligent Choice” guarantees on most of our vehicles. 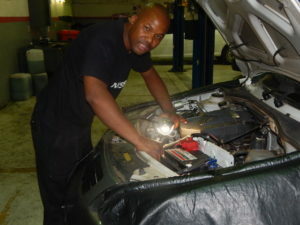 This determines that a vehicle must be accident-free, younger than 3 years, low mileage and have full service history. 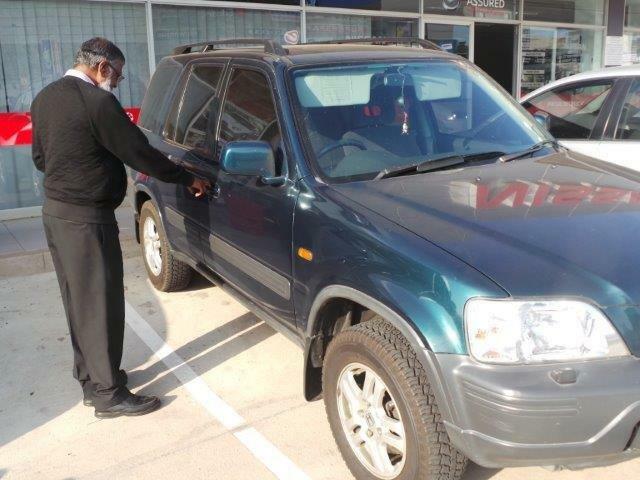 This gives you peace-of-mind when buying any of our pre-loved vehicles. Our vehicles undergo rigorous inspections and checks before being made available to the public, so you can be assured of quality in every one of our vehicles. 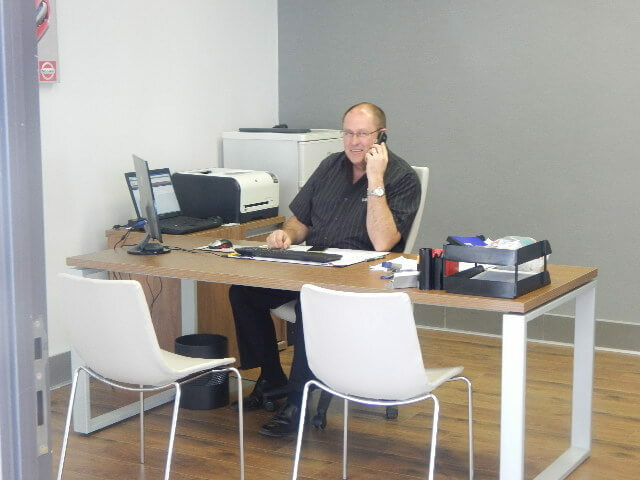 Our dealer principal, Chris Drummond, is also always at hand to assist where he can, and we are proud to have such a warm, kind-hearted and understanding giant at the stern of our dealership. Overall, we are ready to take you, our valued client, steamrolling into the new year with us, and we look forward to accommodating you in any needs that you might have. 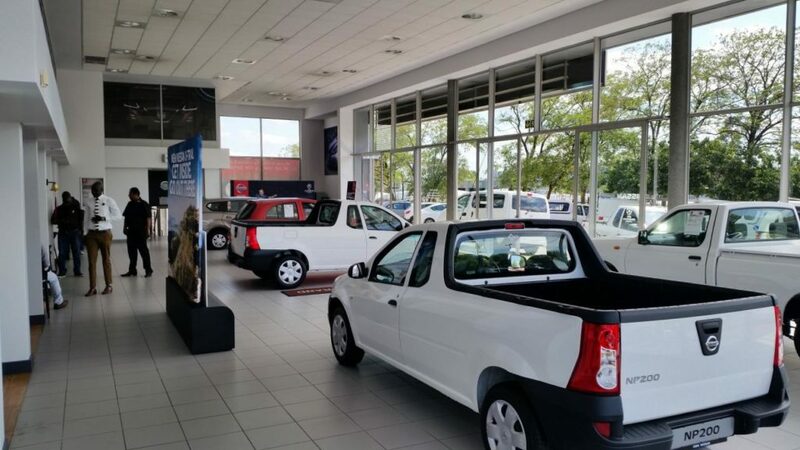 Please visit our dealership or give us a call to let us know how we can assist you. 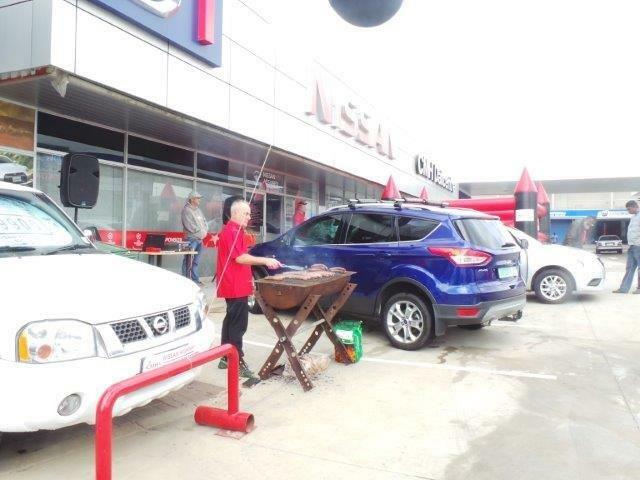 At CMH Nissan Midrand we don’t just make promises, we keep them. Servicing your car is something that you can’t run away from. If you want a well-oiled machine that runs like a champion then you have to make sure that you service it whenever it is necessary to do so. The costs that come with servicing your car may have you a bit frustrated; that and all your other monthly expenses. 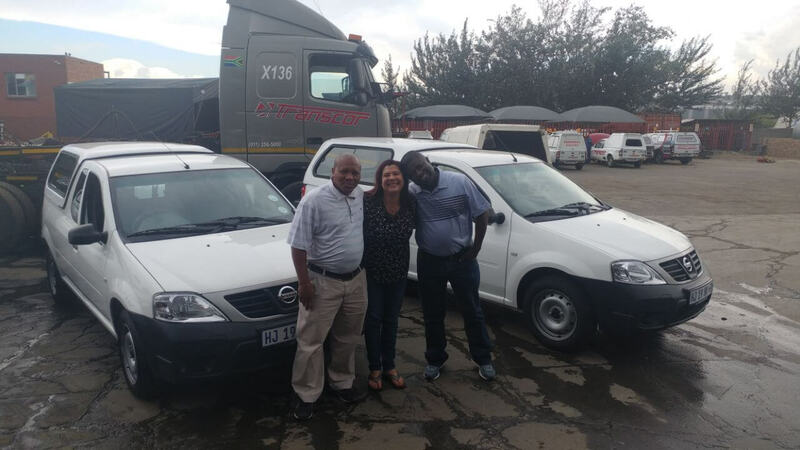 The cost of living is not going any lower and financial obligations seem to pile up almost every day; it’s no wonder why you would choose the guy down the road to nip and tuck your Nissan as a pose to a Nissan certified workshop. 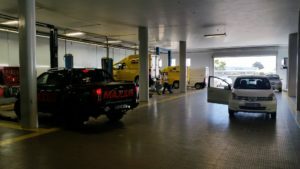 We get it, life is expensive but here are some reasons to consider before you send your precious Nissan to the guy down the road. 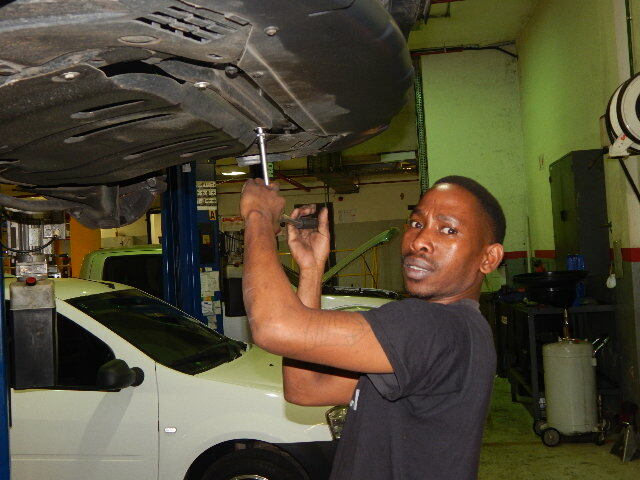 • Your car will be serviced by Nissan trained technicians. 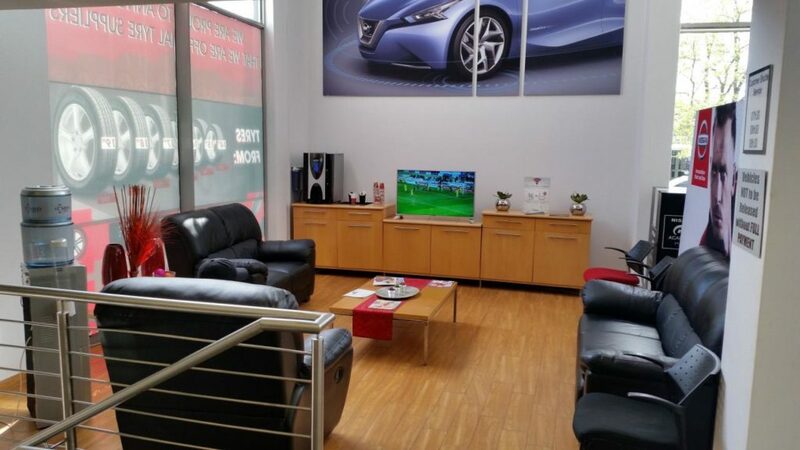 • Your car will be fitted with genuine Nissan parts that are designed in accordance with Nissan specifications. 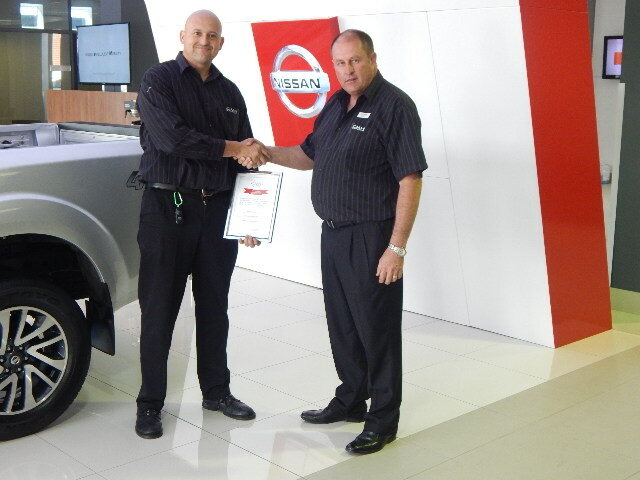 • The technicians have access to all the latest technical information regarding your Nissan. 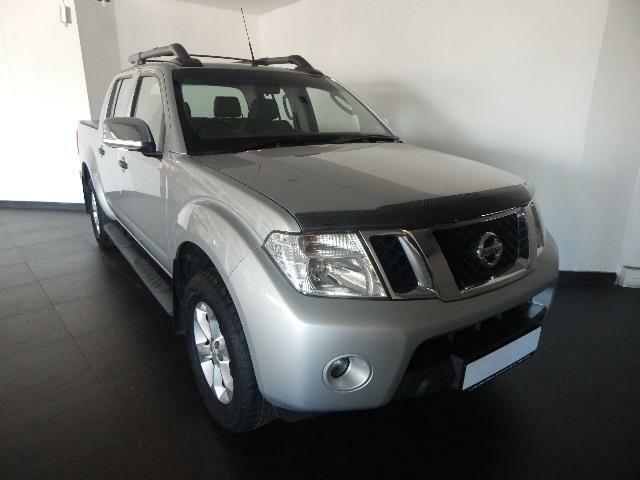 • The technicians have access to the Nissan specified diagnostic system. 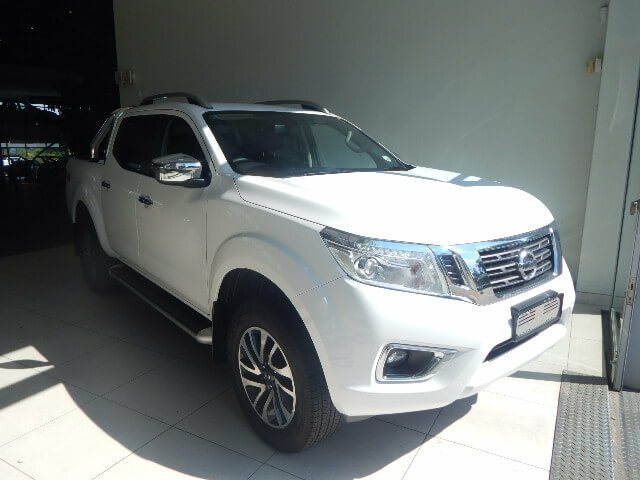 • The technicians have access to Nissan technical repair methods. 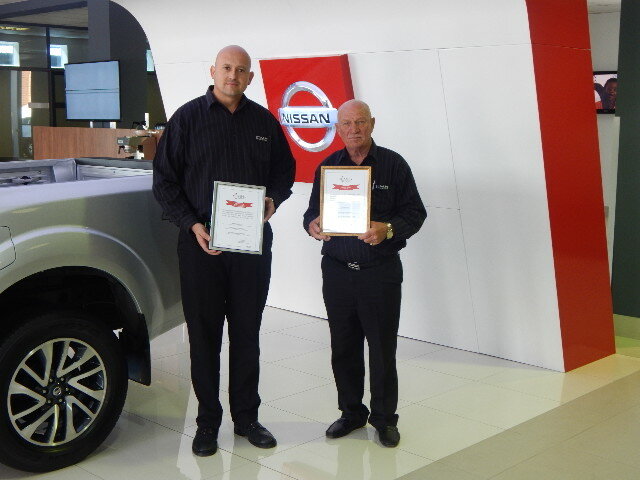 • A Nissan certified workshop has a higher level of service delivery standards as a result of being measured and operating according to the manufacturers’ operational processes. With all of this knowledge, resources and thorough training; you can rest assured that your Nissan will be in good hands. 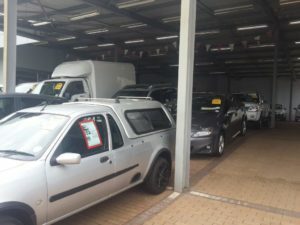 Whilst the costs may seem a bit too high at first; you will actually be saving money in the long run because your vehicle will always be up to date with the best service administered as a pose to having to go back to the guy down the road because he did not do the initial job correctly that unleashed a cycle of other mechanical problems. Choose Nissan for your Nissan and never look back. 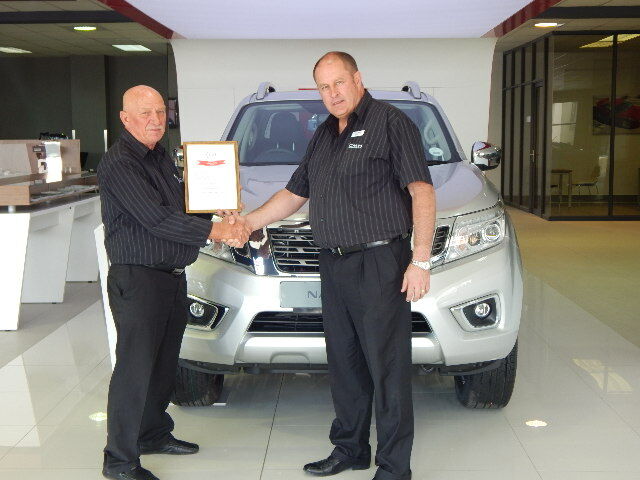 The last few months of the year have been a really busy time here at CMH Nissan Highway. We’ve had great specials running, awesome themed launch days and then, of course, Black Friday. October was really exciting, as we had our 2017 Nissan Patrol and 2017 Nissan X-Trail launch in the last week and it was Halloween themed. 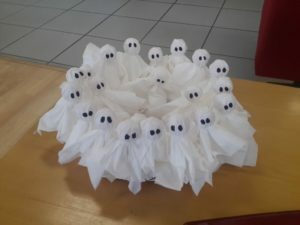 The day went off well with lots on the go like; Our R1 Car Wash, which was extremely well attended, a jumping castle for the kids as well as spooky treats. All in all a great day and we met so many new people. 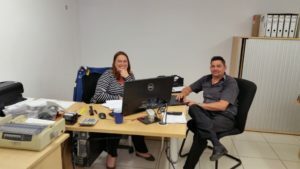 November was busy as well, preparations for Black Friday (the largest shopping day of the year) and finalising all of our year-end promotions. 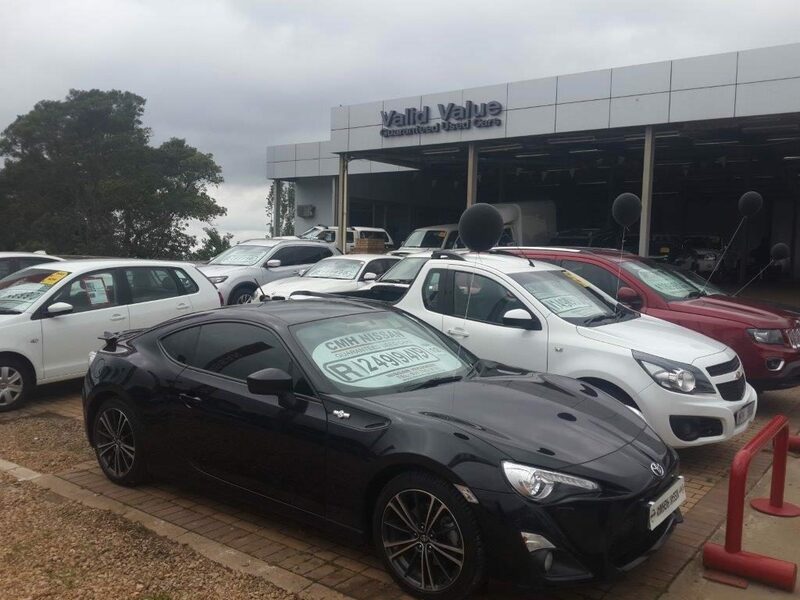 Black Friday went off without a hitch, with quite a lot of interest in our 1 day only Specials, phenomenal discount on New Vehicles, unbelievable price cuts in the Pre-Owned Department, a 20% discount in the Workshop and parts at Cost +10%. November is also the time we begin making preparations for Christmas and we can’t help but think if all the less fortunate children out there who have perhaps never experienced the joys of the Festive Season. Which is why we have come up with the CMH Nissan Highway Community Christmas. Bring a toy or two when you book your car in for a service and receive a discount on your parts and labour. Also, we’ll donate R100 for every service booked during December. We have already visited a few places that need assistance and we hope the community will come together to give these kids a Christmas they deserve. 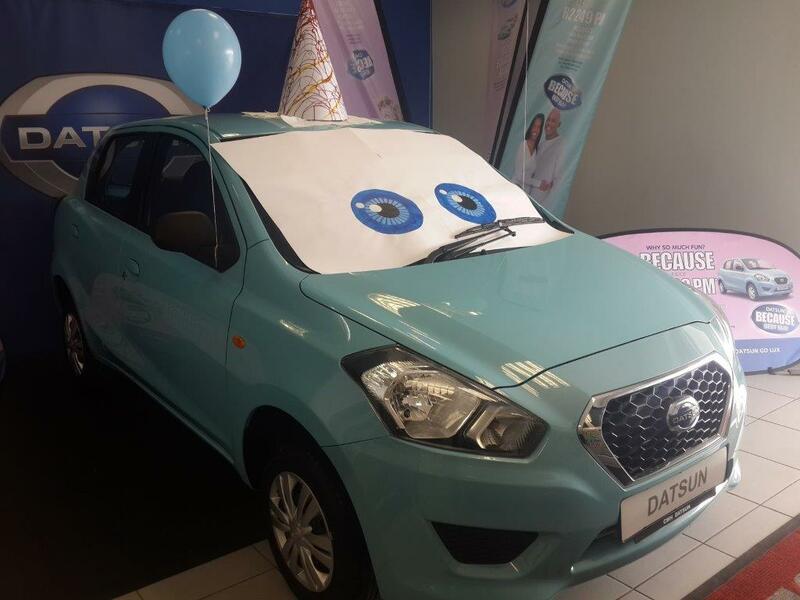 CMH Nissan Durban had such an awesome time with the Micra Active Open Weekend held from the 13th to the 16th of October. To start off this awesome weekend we took the show to the people at the Durban Diwali Festival held on the very same weekend. Showing off this facelift Micra Active and all it’s awesome features to the community that crowded the grounds of this festival. On Friday night the 13th of October we took to the stage with our own CMH Nissan Durban Fusion Party from 19:00 all the way through the evening until 00:00. With an awesome lineup and plenty of giveaways, we had the place jumping. At the Dealership, we went all out as well with balloons and food and giveaways. 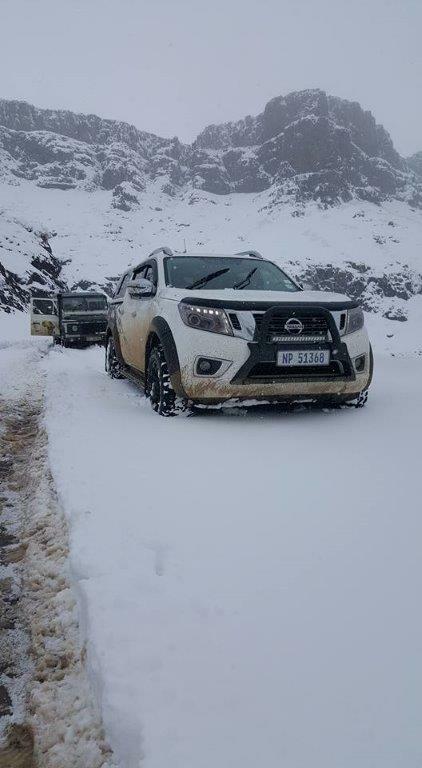 With demo vehicles ready and waiting for customers to take out on a test drive, we were prepared for anything. On Saturday we joined in with the Durban Diwali Festival parade that went up and down the main streets of the town. We wanted to get in on everything we could to get our new Micra Active as much exposure as possible. 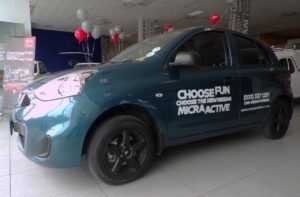 That weekend was an awesome time for not just the Micra Active Open Weekend but also the cultural mixing pot that is Durban and as such CMH Nissan, Durban was proud to be apart of all of it. Our team and all involved put a lot of hard work and effort into this weekend and we hope everyone had as great a time as we did. 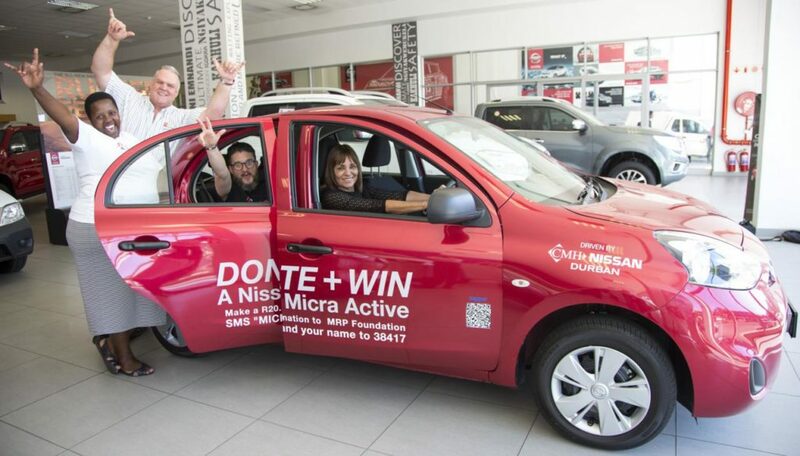 CMH Nissan Durban and Ride for MRP Foundation are giving away an All-New Micra Active this December is, follow the steps below and make a donation of R20 to the MRP Foundation to enter and stand a chance of winning! 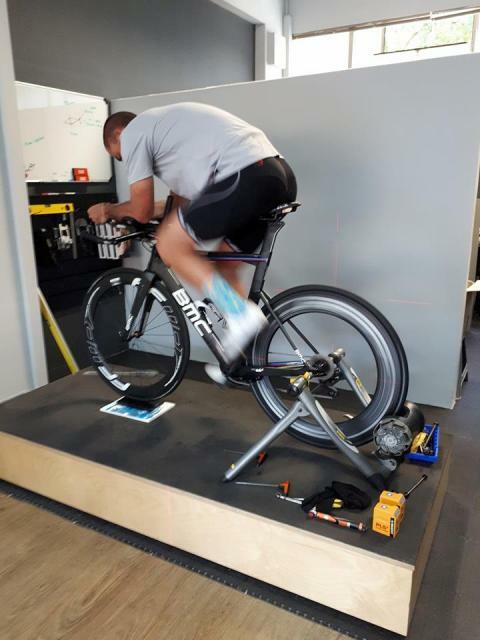 The annual Ride for MRP Foundation, supported by Absa, is a gruelling 606 km cycle ride from Johannesburg to Durban (December 3 – 4) that is hoping to raise One Million Rand for the MRP Foundation. Funds raised will be channelled into the youth development organisation’s education and skills development programmes that empower even more of South Africa’s youth to unlock their full potential. 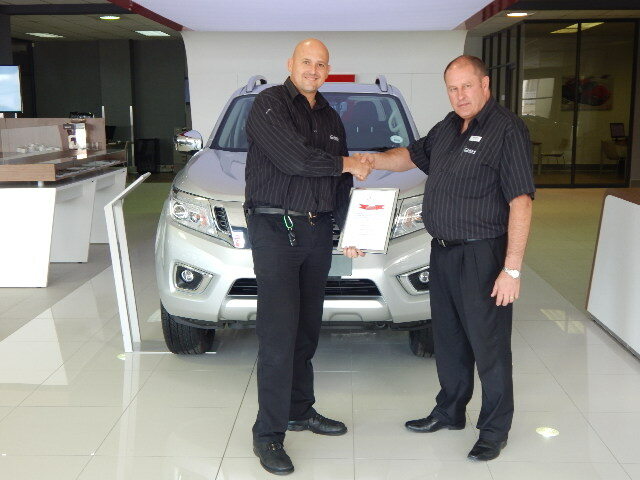 At CMH Nissan Sandton we pride ourselves in providing only the best service to our clients. Exceptional customer service can only be achieved with the effort of a great team and a great team we certainly have. Mbongiseni Mackenzie is one of our valued technicians and has the honour of being the Technician of The Quarter! Growing Mackenzie always loved playing with cars and what he loved most about cars when he was younger was the speed that the car could perform at. In another life he could’ve been a Formula 1 driver driving alongside his all-time hero; Michael Schumacher. What appeals to Mackenzie the most is about working with cars is the fact that he gets to take them apart and piece them back together again whilst making sure that the problem they came in with is successfully resolved. 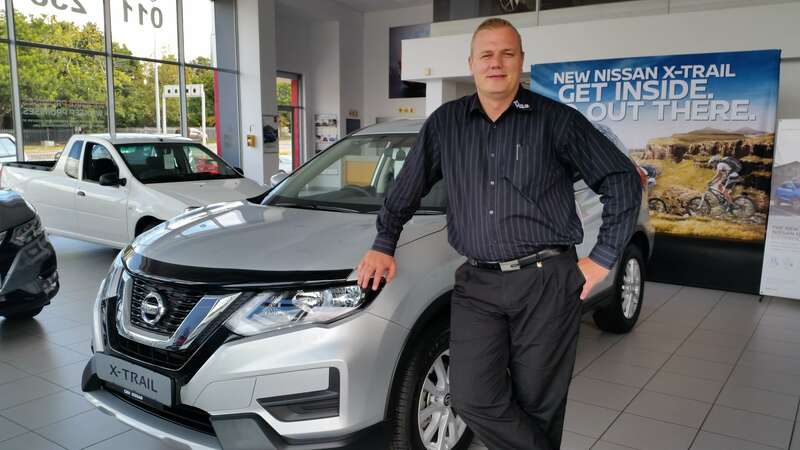 He’s journey with Nissan began in 2014 as an apprentice and he has never looked back since then. Mackenzie believes in pushing himself, listening to critique and making sure that the client is happy with the end result. being the parts sales executive. Moodley grew up with a father that had a parts business and she learned to disassemble and reassemble an engine at a young age so her career choice in parts only made sense. 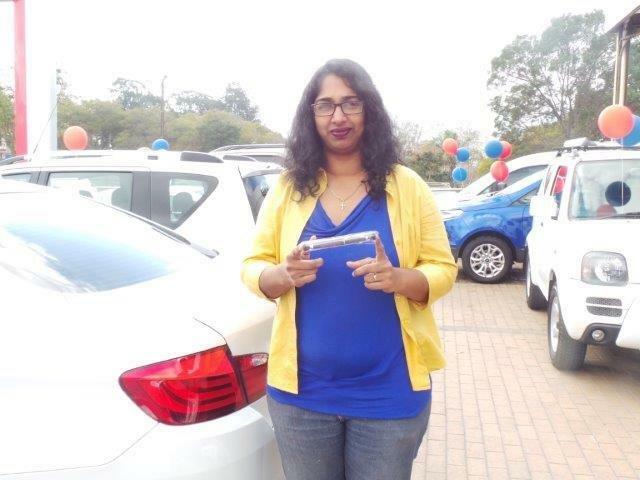 What Moodley enjoys most about her job is seeing the smiles on customers’ faces when she has assisted them with what they need. 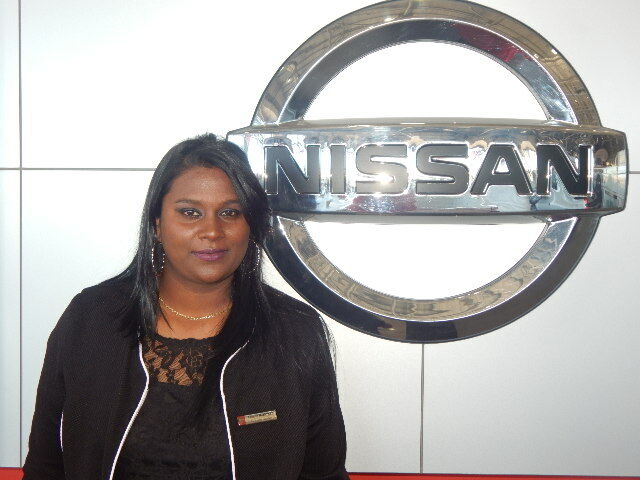 Working for Nissan has been a joy for Moodley because she loves the R-series range and she hopes that one day she’ll be able to have one as her own. 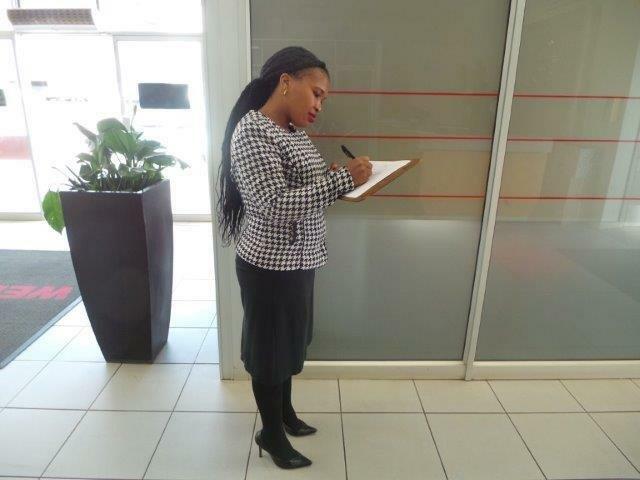 She believes in hard work, delivering great customer service and integrity. 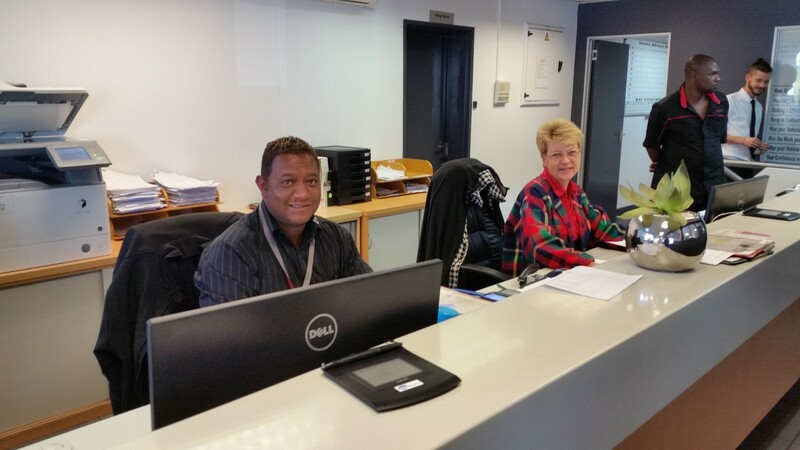 Belinda Duvenage is the warranty, bookings and costing clerk. What a mouthful! With this hefty title, it can only take a superwoman to reach 100% quality bookings in the month of September. When asked how she achieved this she responded by stating that she knows to ask all the right questions, always going the extra mile when a customer needs something and always treating the customer’s query with urgency. 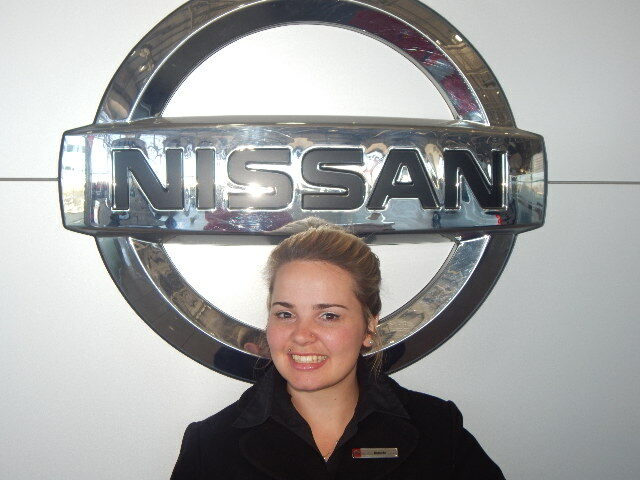 Apart from her love of G-TR’s Duvenage loves working for Nissan because it is a great brand, her customers are down to earth and she enjoys interacting with them. Duvenage loves knowing that she has helped someone; this is very rewarding for her. 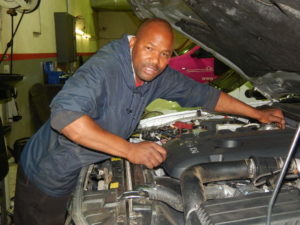 Duvenage is not scared of getting her hands dirty, you can find her in the workshop helping out the technicians when needed and from all this experience she plans on being a Service Manager one day. 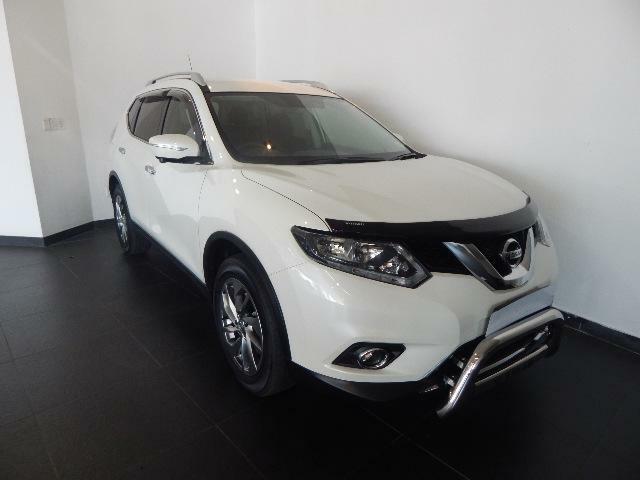 At CMH Nissan Sandton we have quite the assortment of SUVs available at your disposal. A sporty big car is always a win with its spacious interior, stylish cabin and thrilling on-road performance. 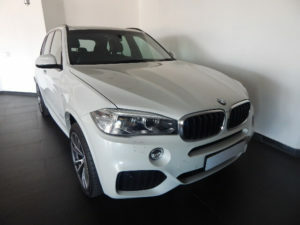 Perhaps your taste lies with BMW; well you’re in luck because the mighty X5 xdrive 30d M Sport A/T (F15) will leave you exhilarated from its athletic build that is both aesthetic and proves to be just as commanding on the road. 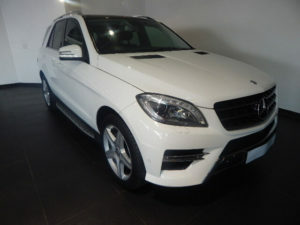 The ML350 Bluetec is here for those in search of sophistication and luxury. Drive away in style and comfort with the ML 350 Bluetec. 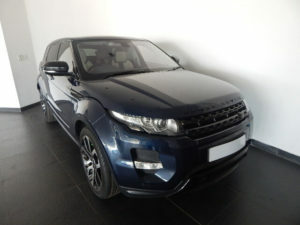 The Range Rover Evoque 2.2 SD4 has a compelling bold exterior that invites you to come and enjoy its dual functionality of luxury and speed contained all in one masterpiece of machinery; this one is a thrill to drive. 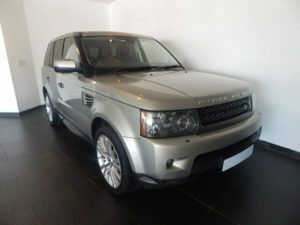 The Range Rover Sport 3.0 HSE Luxury says it in its name; luxury and powerful acceleration are to be experienced in this golden and majestic delivery from Land Rover, enjoy the road while seated in the lap of luxury. The ML 250 Bluetec may not be as large as its big brother the ML 350 Bluetec but it has a lot to offer. It’s a very economical make from Mercedes so you won’t feel the pinch of rapid fuel consumption and you can enjoy the leather interior while enjoying its amazing agility on the road. The Porsche Cayenne Diesel Tiptronic’s diesel engine gives you power that you wouldn’t expect from an SUV, it has a slightly longer look and is easy on the eyes. 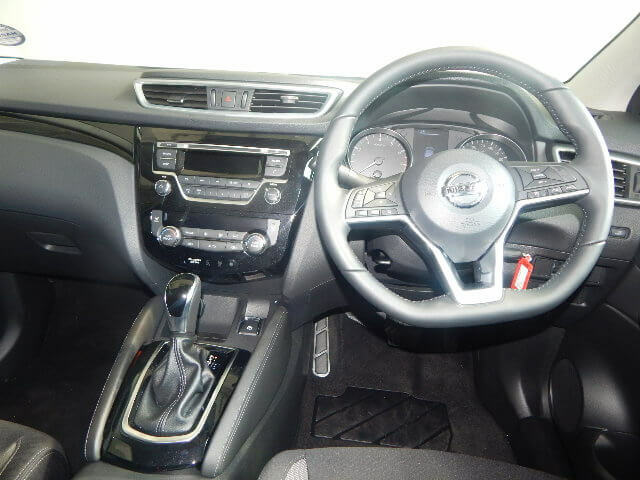 The interior is sleek and stylish giving you a high adjusted cabin for your convenience. 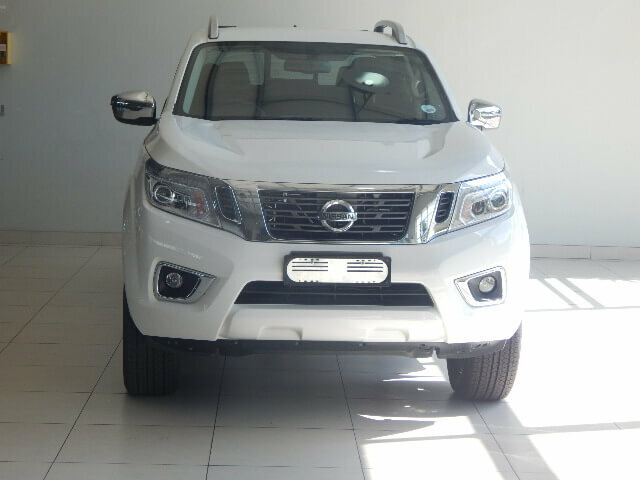 At CMH Nissan Sandton we are excited about our SUVs that will be making their way home into your driveway this month. Don’t wait a minute longer; get your hands on one of our SUVs today. Experiencing great service is something that leaves a lasting memory in all of us. 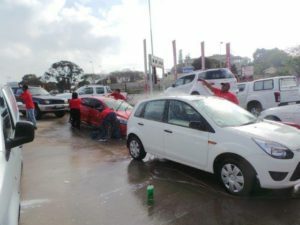 The feeling of being welcomed, taken care of beyond your expectations and being a priority is something that we don’t experience everyday and when it does happen it’s such a beautiful and wonderful experience which is what we at CMH Nissan Sandton pride ourselves in achieving supreme service for our clients. 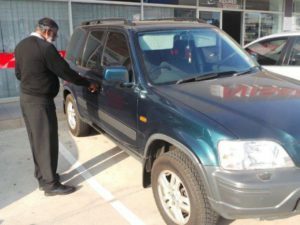 Knowing that someone is going the extra mile for you is absolutely amazing and it leaves a lasting impression and it becomes a regular place to visit to get your car serviced. 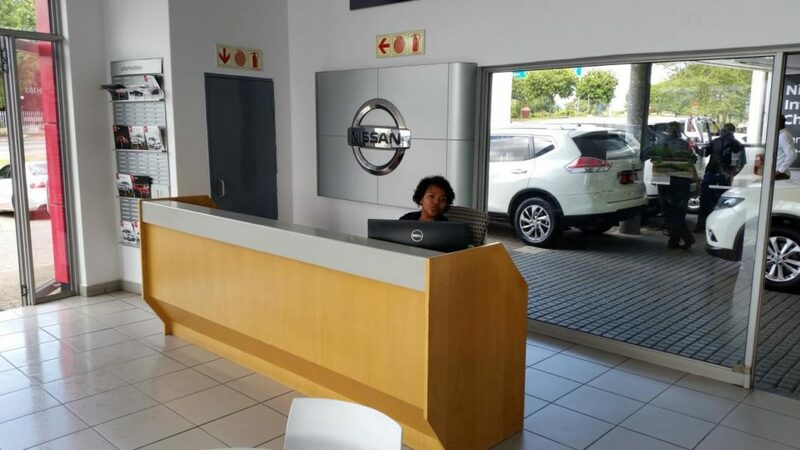 At CMH Nissan Sandton our Service department is a place that has become a regular for most people because our service is professional, detailed and memorable. 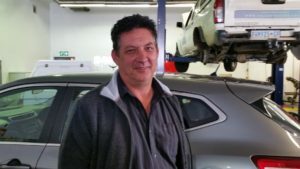 We go the extra mile to make sure that your vehicle is serviced to the Tee, but don’t take my word for it, rather hear it from one of our many happy customers. 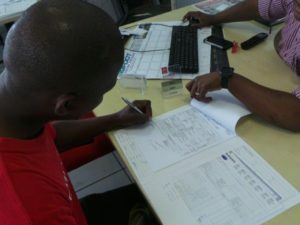 Mr. MSN Mhlophe is one of our very happy customers. 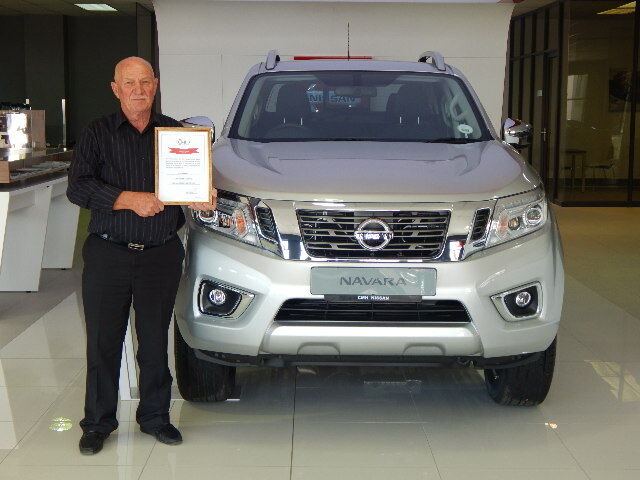 He purchased the Nissan NP200 from us last year. He purchased the vehicle for work purposes. 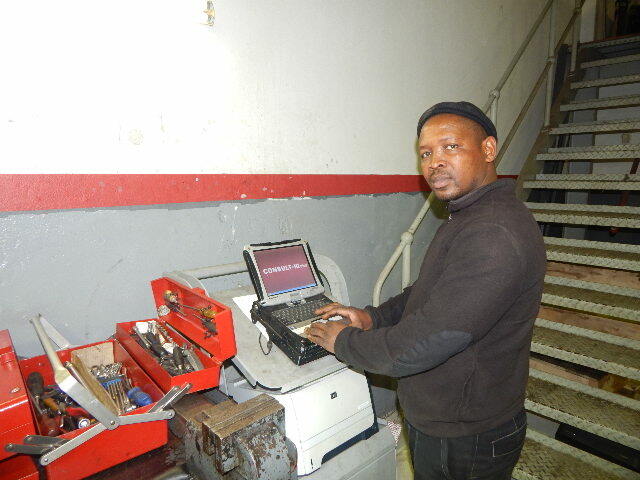 Mr. Mhlophe Installs Fibre and Copper for internet users and he chose the NP200 to be he’s run around for his work. Well, you’ve heard it from one of our many happy customers. At CMH Nissan Sandton, we offer service that is cost effective, efficient and very friendly. We aim to leave you with a memorable experience to ensure that you are always taken care of. Book your Nissan in today. CMH Nissan Pinetown is Proud to be associated with Deno Van Heerden and Deno Van Heerden Cycles. 2016 UCI World Champion Road Cyclist, Deno Van Heerden is a Local Durbanite and an icon amongst the cycling community. 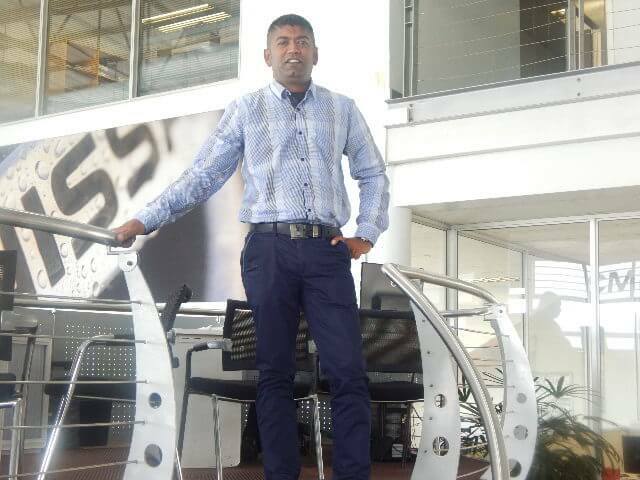 He has continued his winning streak by taking first place in the Tsogo Sun Amashova Durban Classic for 2016, after winning first place in his category in the road cycling World Championship in Perth earlier last year. 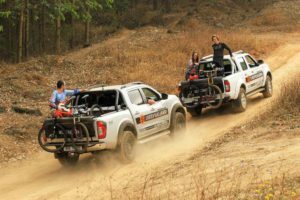 Having recently relocated Deno Van Heerden Cycles (DVH Cycles) from Ballito to Durban, DVH Cycles is now even more accessible to all. 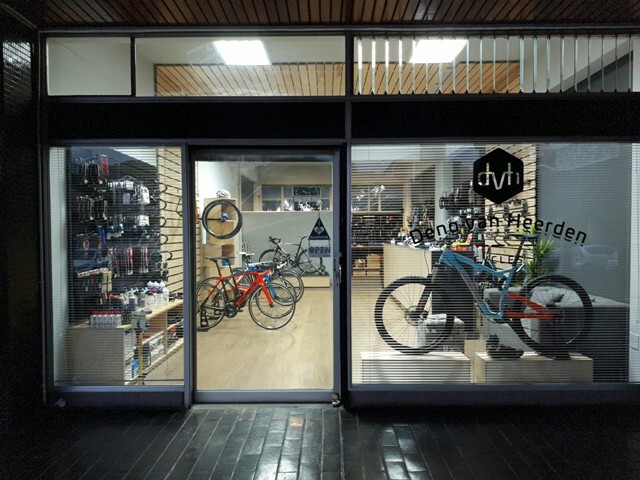 Situated at Shop 10B, Avonmore Centre, Ninth Avenue, Essenwood, Durban, and contactable on 031 303 1741 / 083 546 1335, DVH Cycles is ready for any and all cycling enthusiasts. 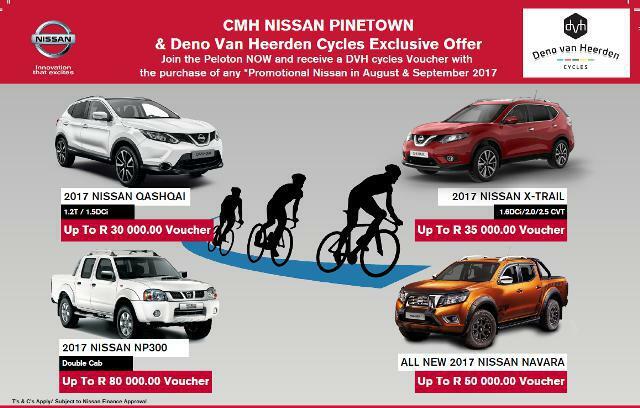 This amazing offer and partnership has been made possible by Jonathan Bisset, CMH Nissan Pinetown’s Fleet manager and an avid Cyclist. 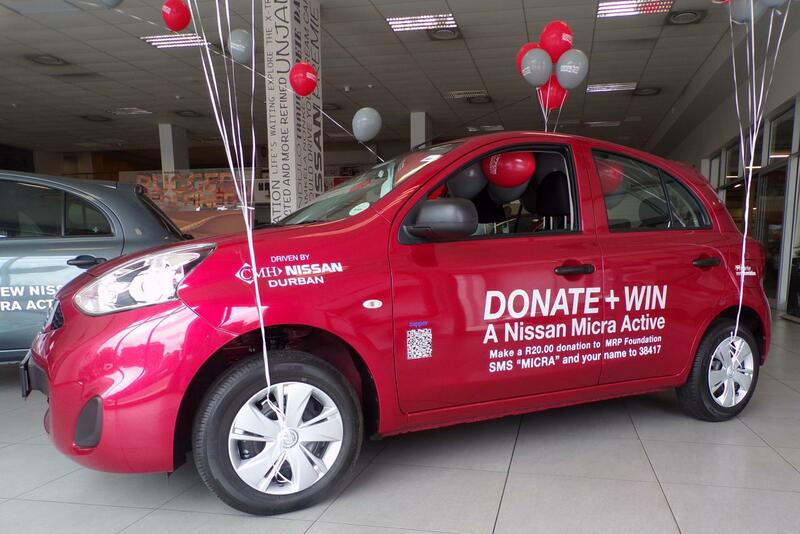 Contact us on 031710 9000 for more information regarding your New Nissan and DVH Cycles Voucher. 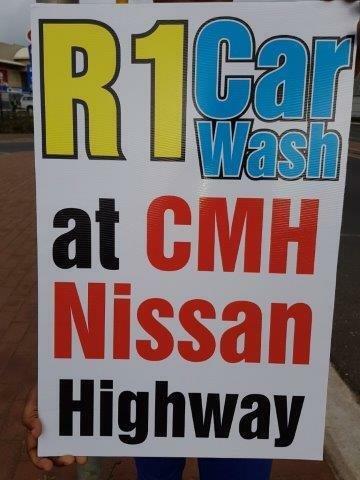 CMH Nissan Pinetown, 155 Old Main Road, Pinetown, 3610. 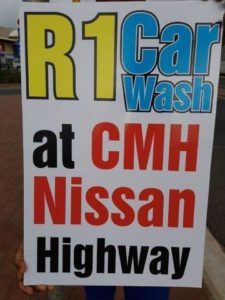 CMH Nissan Highway hosted a R1 car wash for Nissan day. The event got off to an awesome start! The weather was perfect, enthusiasm and excitement levels energetic staff members all banning together to get this incredible event off to a great start. As anticipated, the public and fellow Nissan customers showed up in hoards to take advantage of the totally insane specials, giveaways and prizes we had to offer on that weekend. Apart from the outrageous deals going on, there were delicious boerie rolls freshly prepared for all to enjoy while they browsed through our stock of quality vehicles. It was such a social event with so much support. 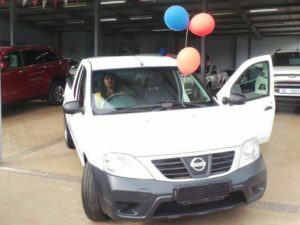 Relating to the Nissan brand created an atmosphere of fantastic togetherness which ensured that any passionate fan would enjoy the outing together with fellow friends and family. While the parents crunched some numbers with our finance manager, the kiddies enjoyed a beautiful Saturday on the jumping castle. So much in fact it inspired some older folks to give the jumping castle a try. Families got to enjoy the activities. An incredible ambience was complimented by some cool background music that got some of the kiddies dancing and shaking all about. 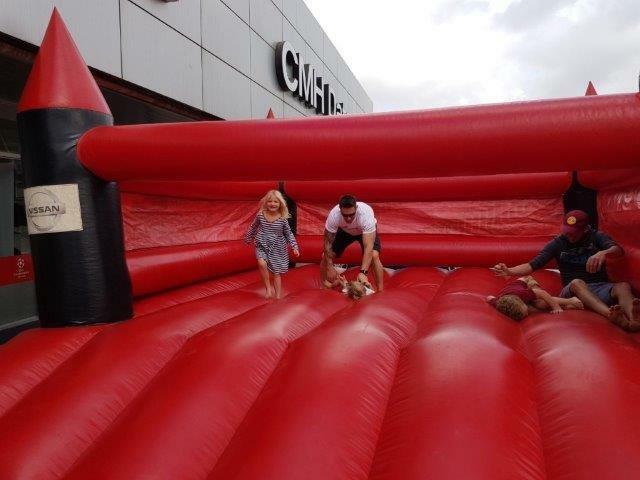 Customer’s got to enjoy the music and families spent quality time together having fun. 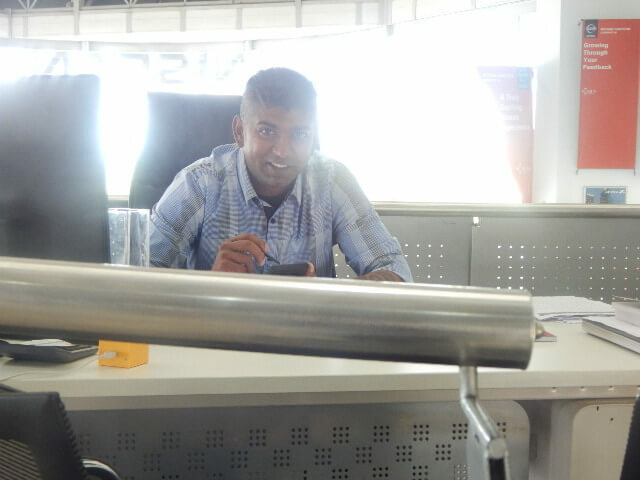 Sales executives got to build customer relationships whilst having a laugh together. Deliveries were done, Sales Executives and customers mingling and discussing the different vehicle models. Customers made commitments by signing OTP’s. The team of CMH Nissan Highway believes in interacting within our community and an ethos of giving and not only receiving has created a valued and mutually beneficial relationship with us and the surrounding communities and businesses. 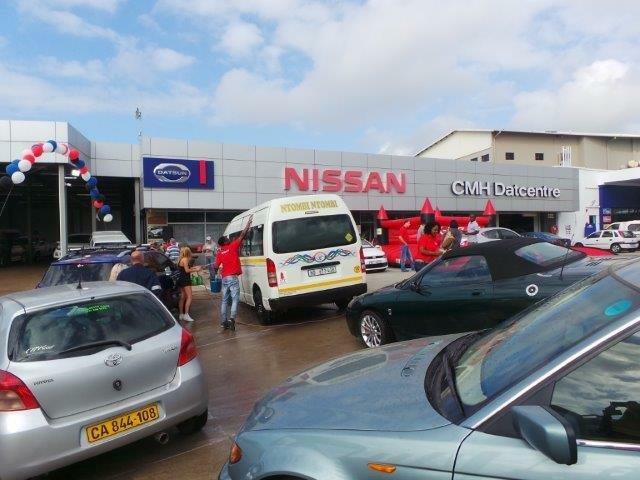 Our guests enjoying their gifts courtesy of Nissan Highway. 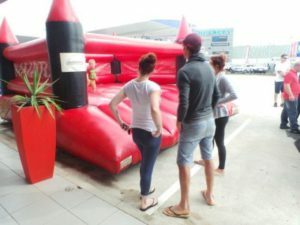 Guests were allowed to pop a balloon and win prizes. 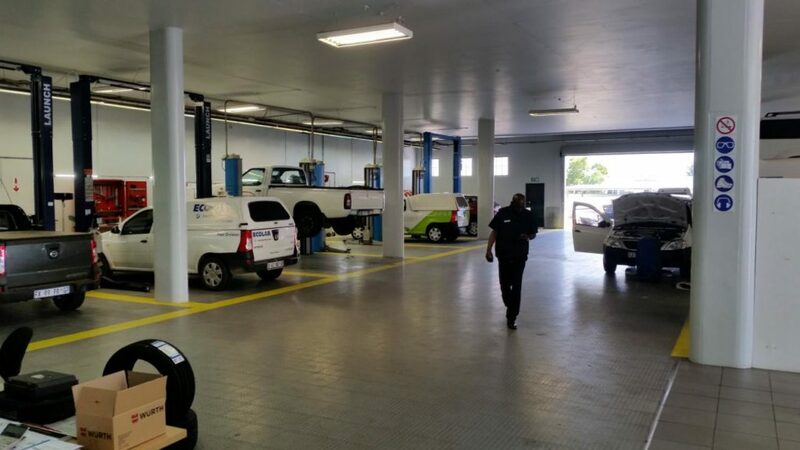 These caring and quality attributes are the tools our staff utilize to ensure CMH Nissan Highway customers are always treated with respect, courtesy and customer satisfaction is guaranteed. The smiles on our customer’s faces were all the gratification we need at CMH Nissan Highway to continue with a warm and caring sentiment. 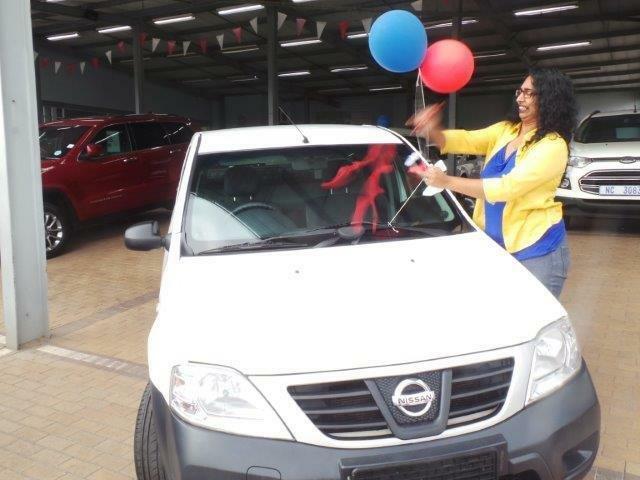 At CMH Nissan Highway we don’t just sell cars, we provide you with a lifestyle. 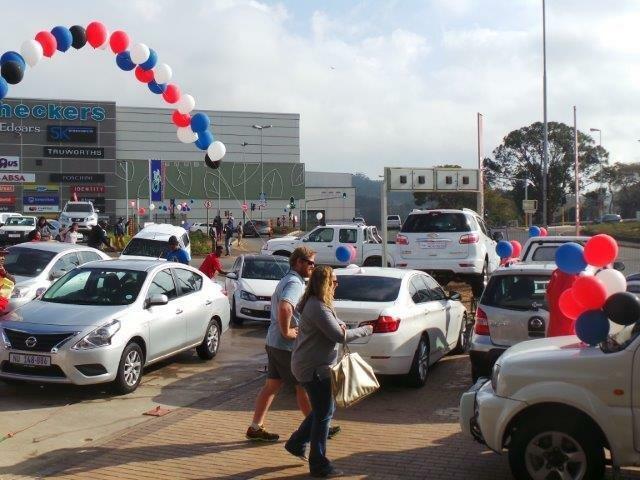 Our paramount requirement is too ensure customer satisfaction and by hosting such events, it creates an emotion of belong compared to just being a car dealership. It has seen the sun rise over the Sahara dunes and set on Pacific waves, made its own roads through jungles and over mountains, and triumphed over rivals in races that stretch the bounds of endurance. It’s big, it’s bold, playful and ruggedly beautiful. 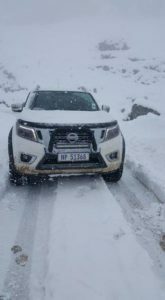 But best of all, it’s as capable as it looks in the off-road camp and you won’t need a second invitation to put it through its paces, The Navara can be used for work or for play. Navara’s impressive towing capacity of up to 3,000 kg means you can bring along just about anything you need. And since it has a tough, high-tensile steel ladder chassis featuring welded cross-members, it also boasts up to 905 kg payload that lets you bring even more along for the ride. This 2.3ℓ BI-turbo diesel encapsulates Nissan’s latest generation common-rail technology and has no problem when it comes to grunt work. 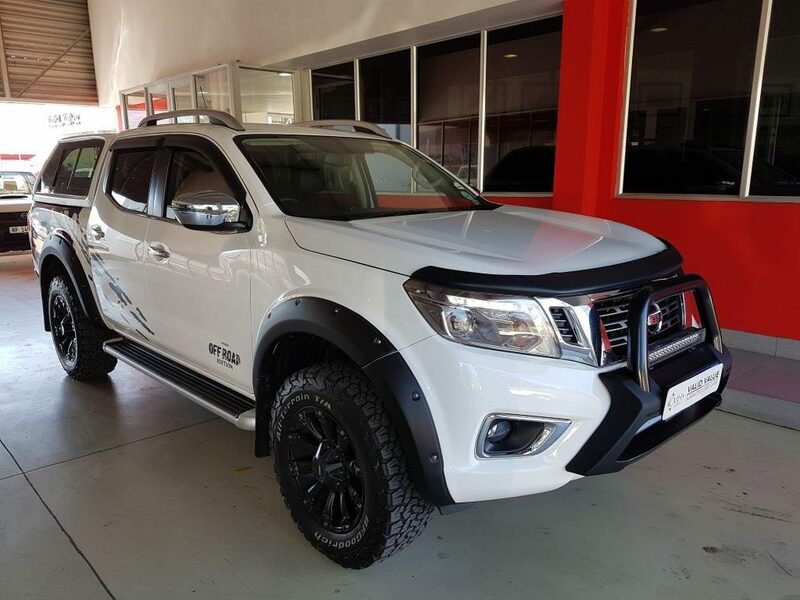 This LE spec has 140kW of power and 450Nm of torque 4×4 model (Standard 4x),, The Nissan Navara shows how power, acceleration and fuel efficiency can not only coexist but thrive. 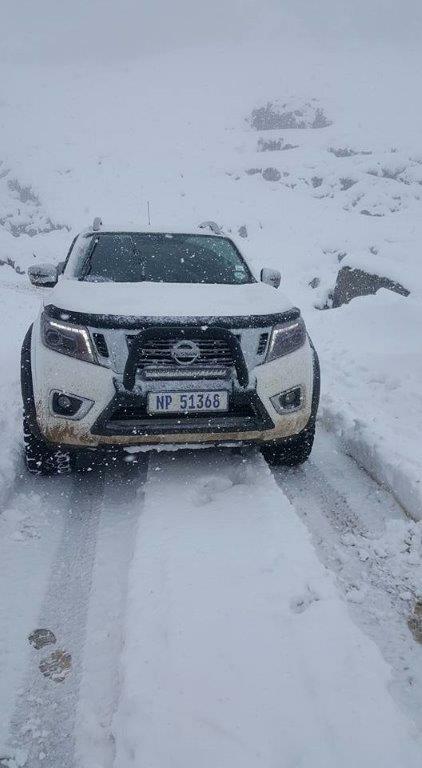 Class-leading fuel efficiency is achieved by using low friction components, reduced mass, wide range gear transmissions and enhanced aerodynamics.Navara is all about strength in numbers.